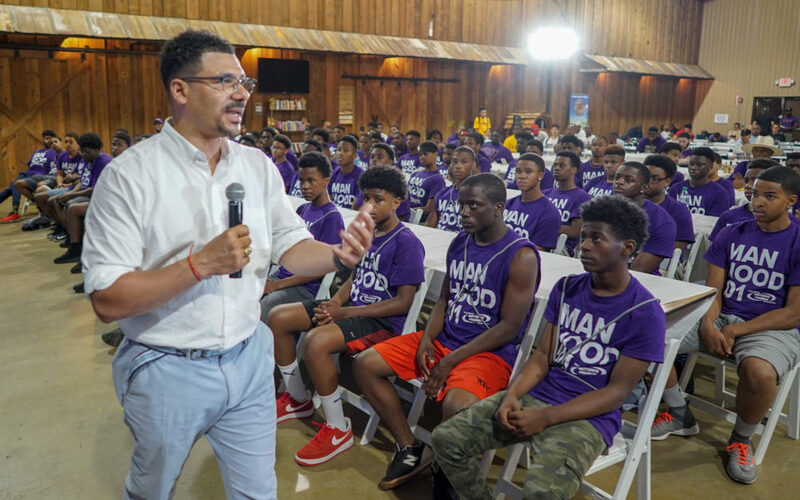 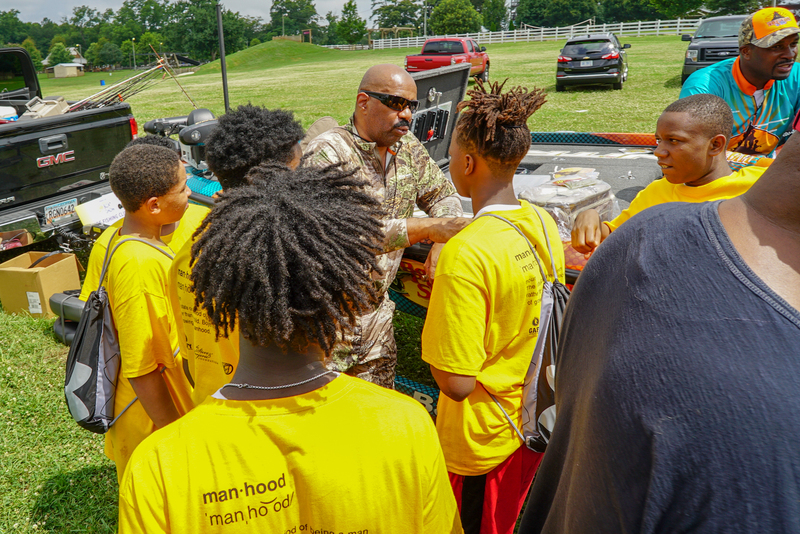 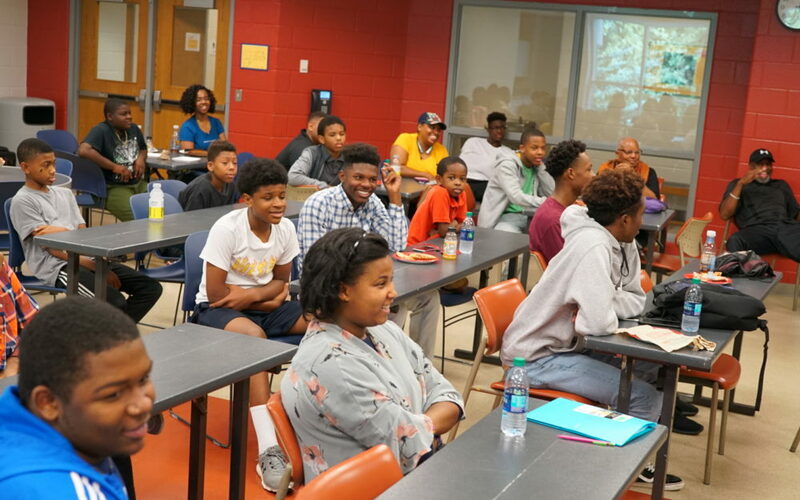 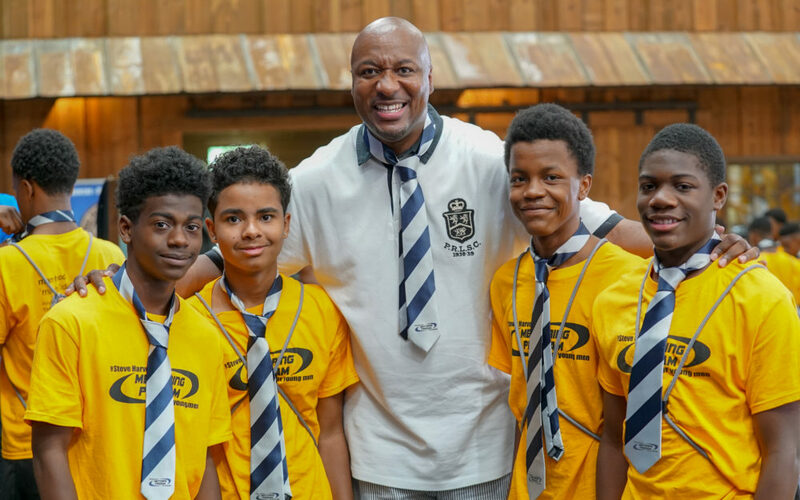 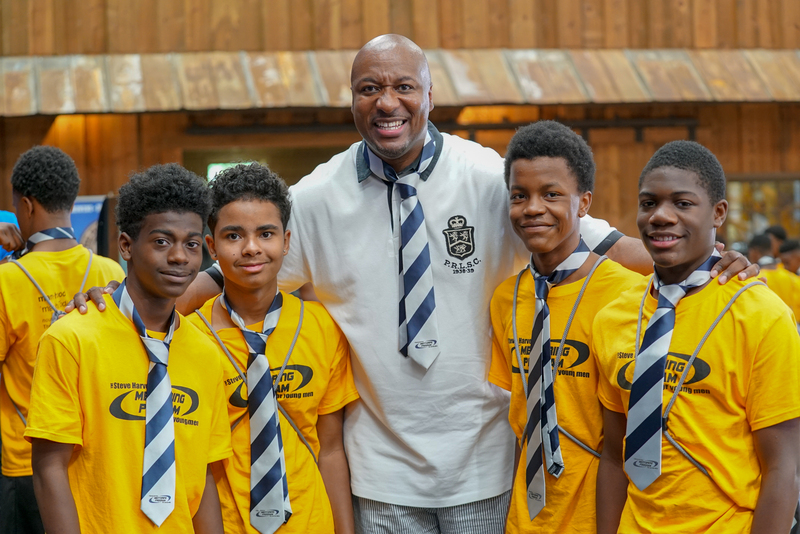 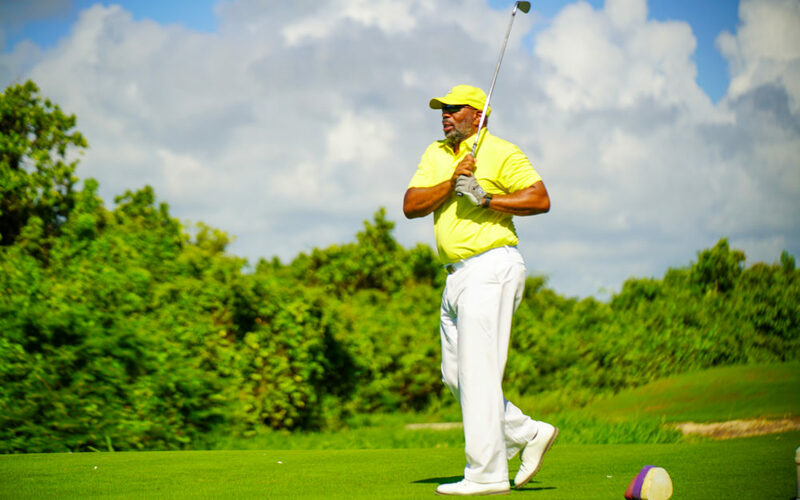 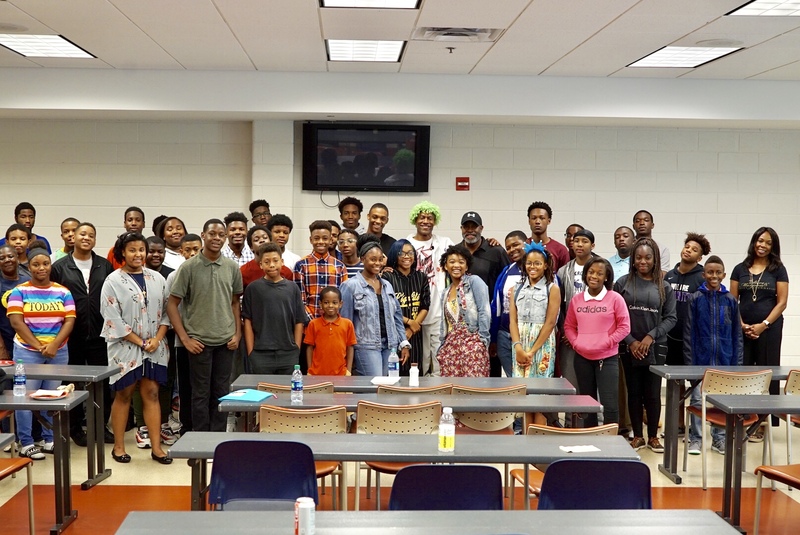 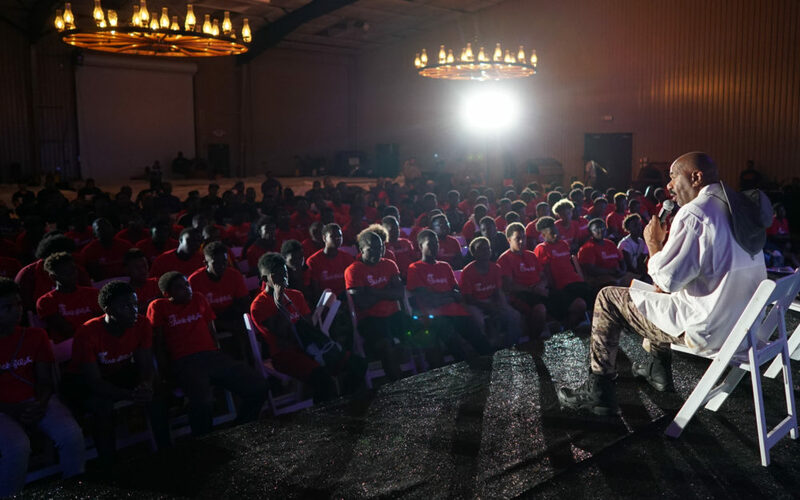 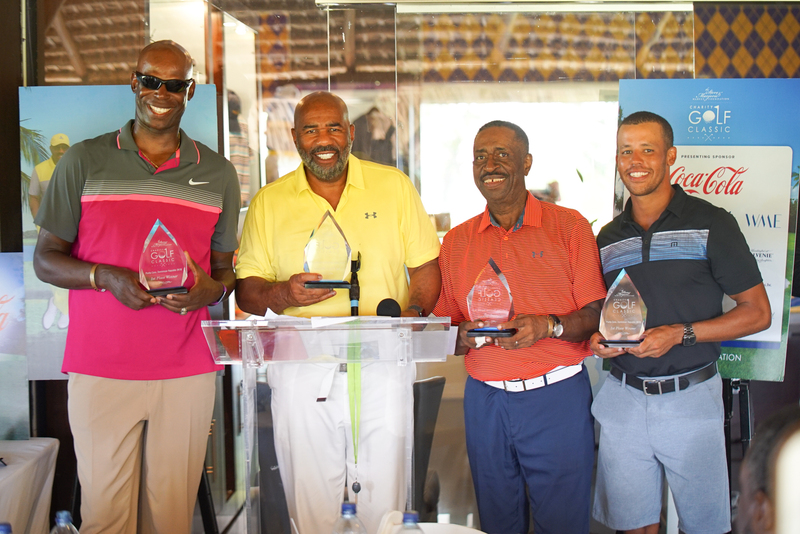 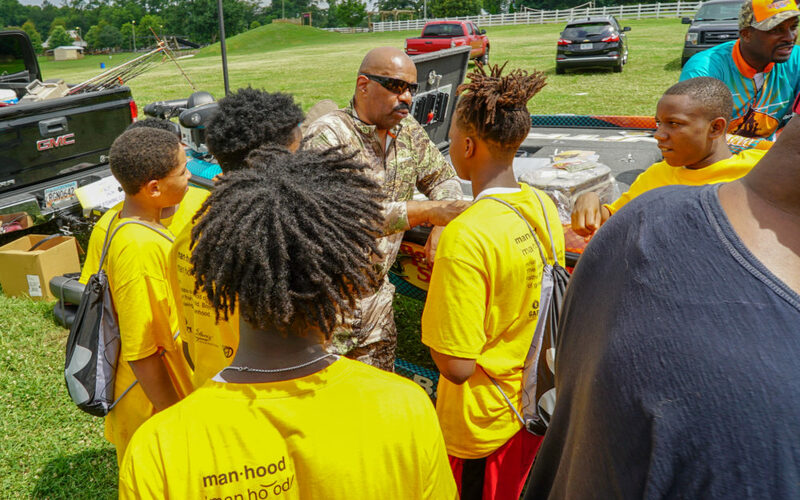 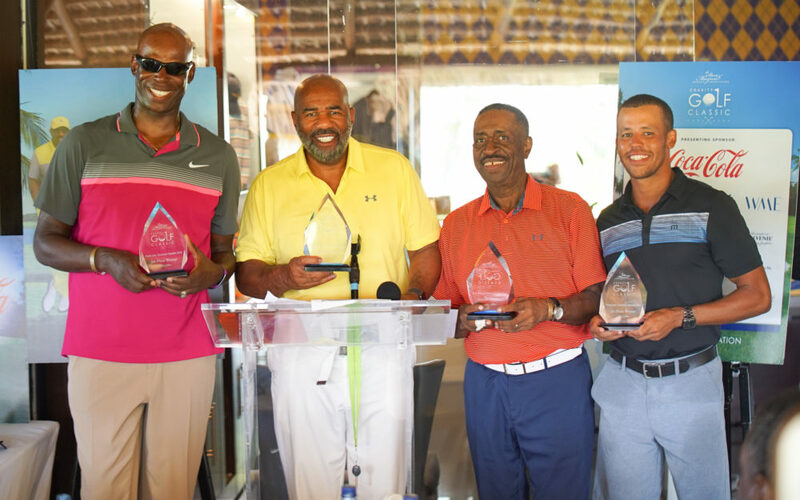 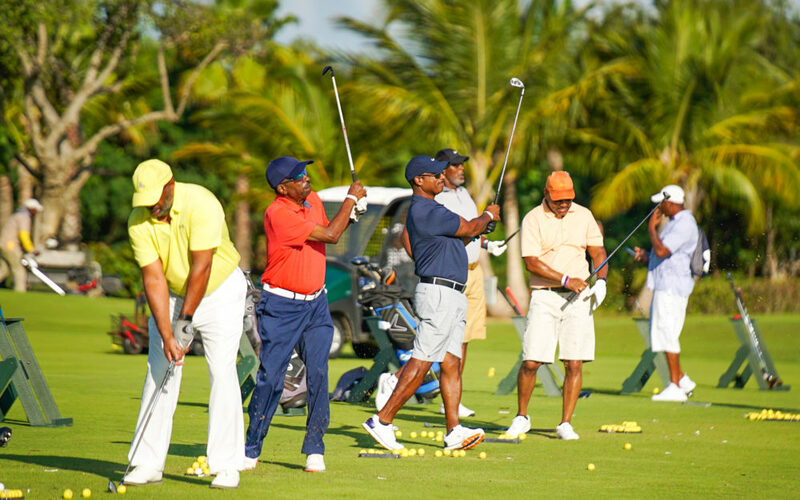 More than 200 fatherless teenage boys from around the country attended The 2018 Steve Harvey Mentoring Camp on Father’s Day Weekend. 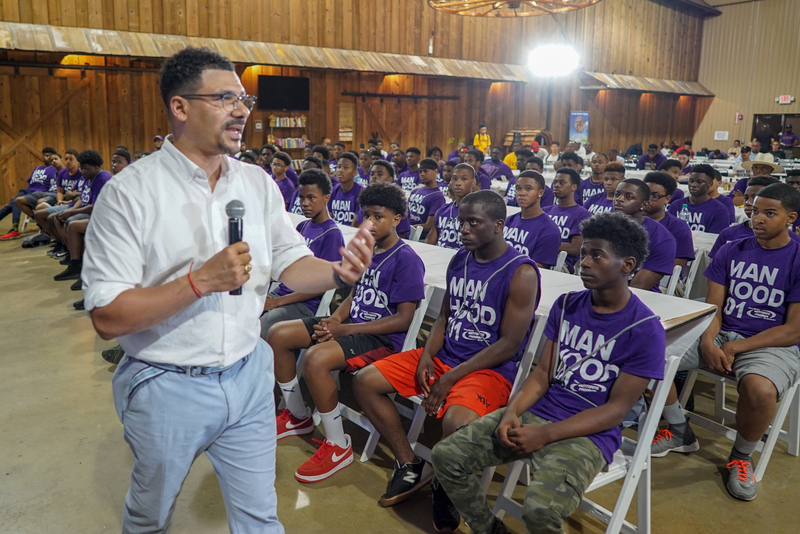 The young men experienced a dynamic life-changing four-day weekend filled with motivation, encouragement, mentorship, brotherhood, fun and love. 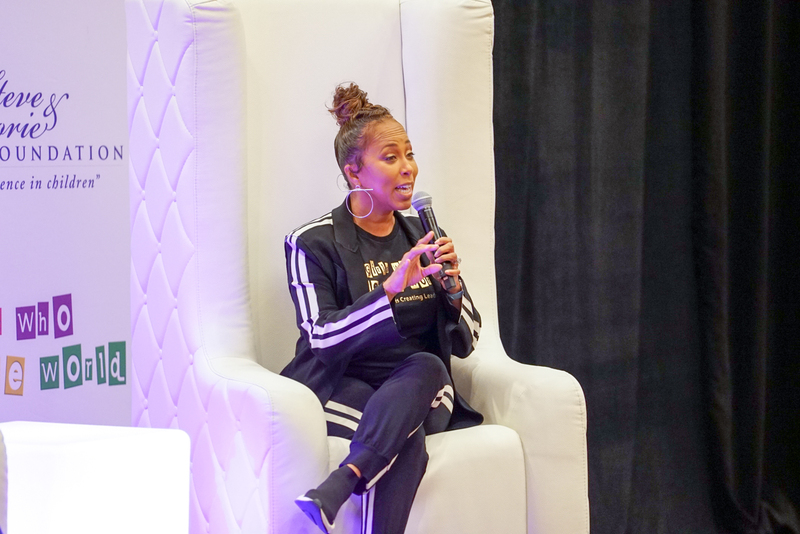 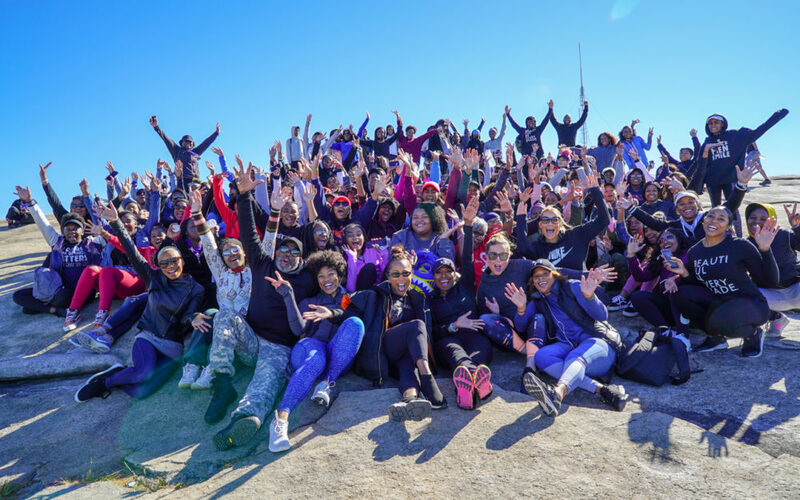 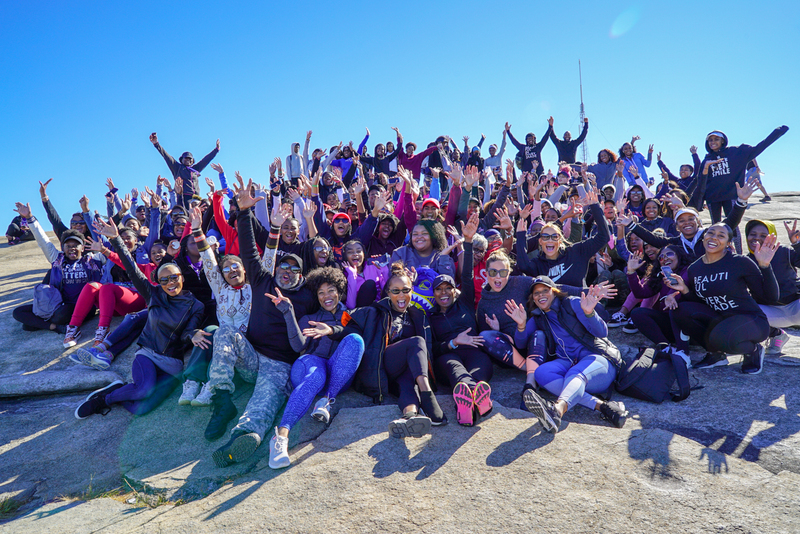 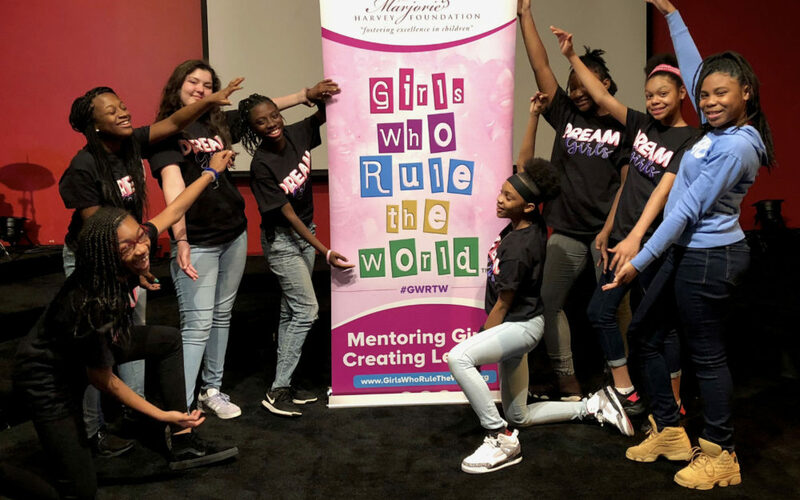 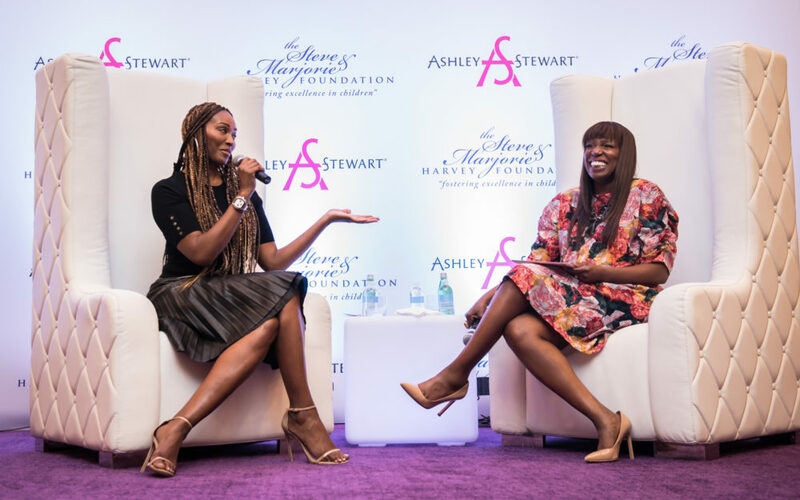 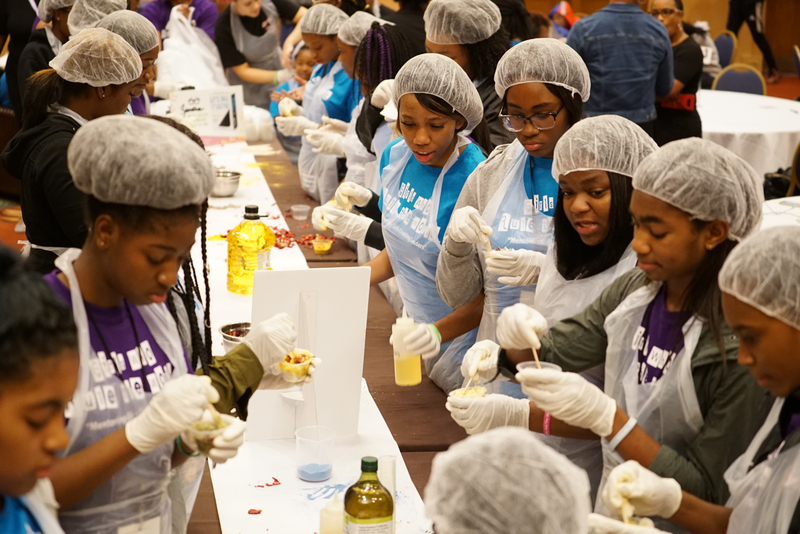 100 girls from around the country joined Marjorie Harvey for the Girls Who Rule The World Mentoring Camp. 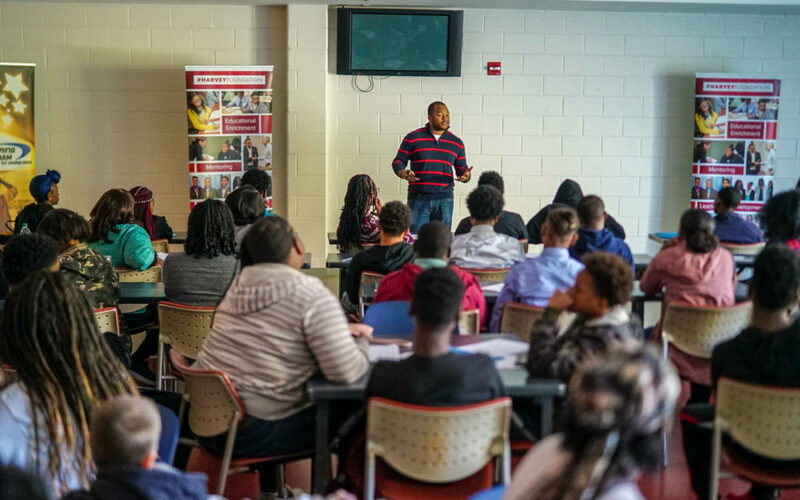 They learned about entrepreneurship, creating a vision for thier future, the importance of being financially literate, living a healthy lifestyle and so much more to empower them to become future leaders. 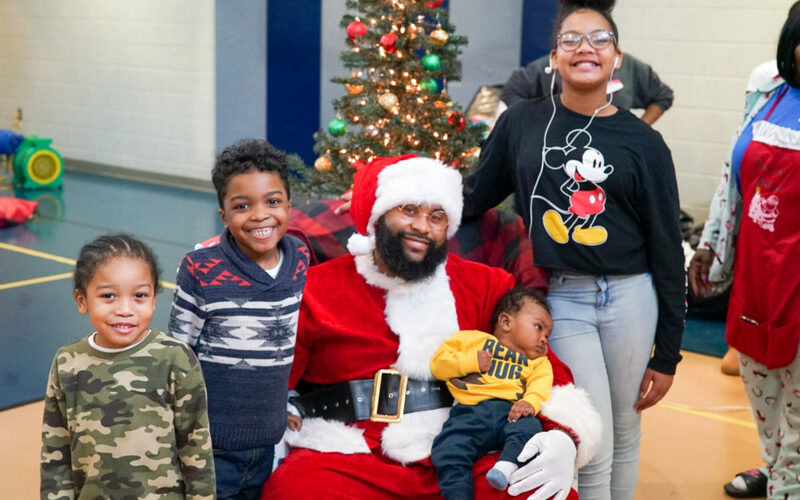 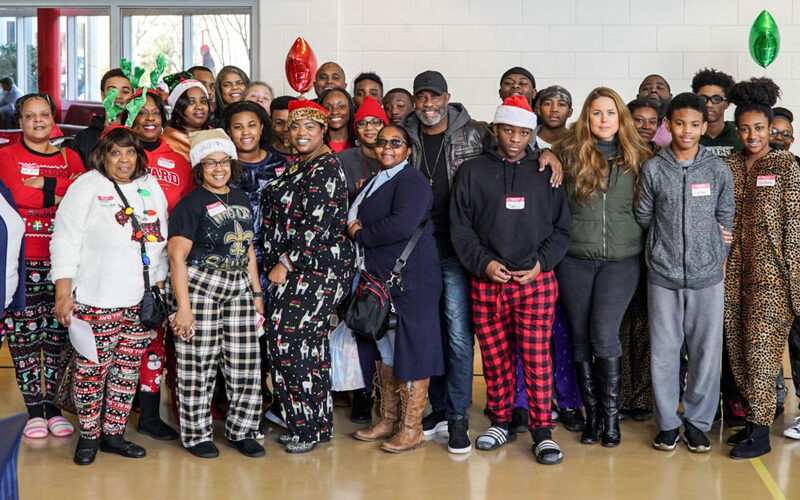 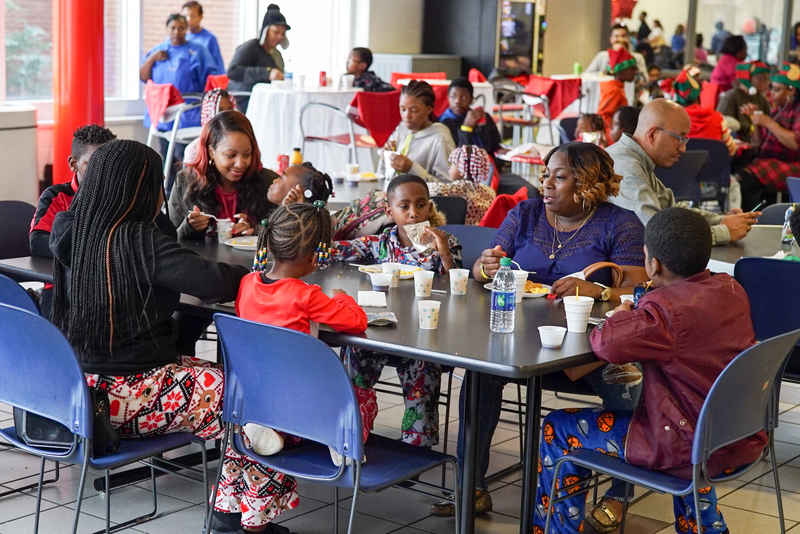 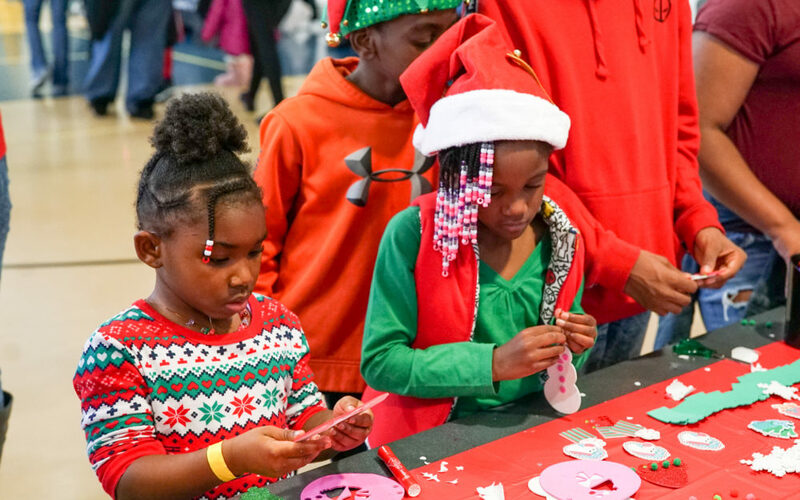 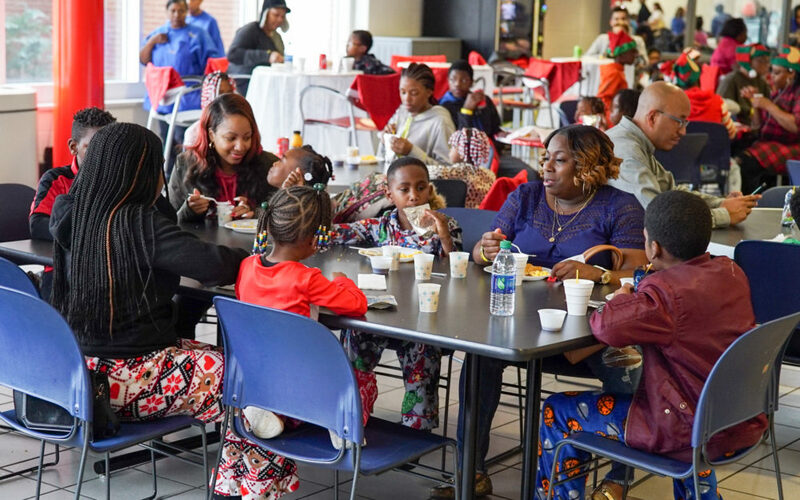 Our team and mentees participated in a day of service, volunteering at a community event: “PJs and Pancakes with Santa.” A great day of brightening this holiday season for families and children in our community by serving a hot breakfast and distributing toys! 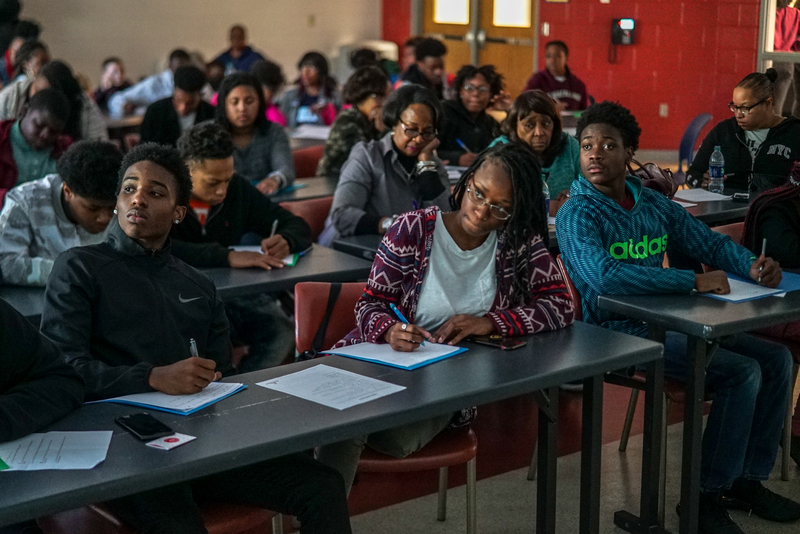 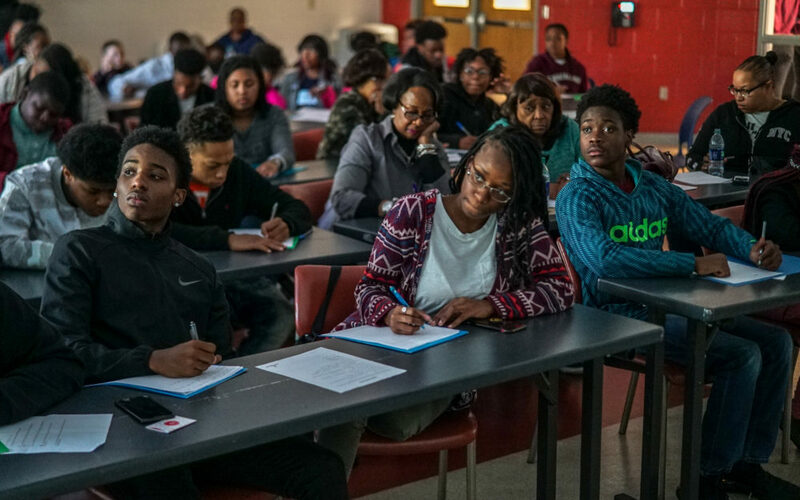 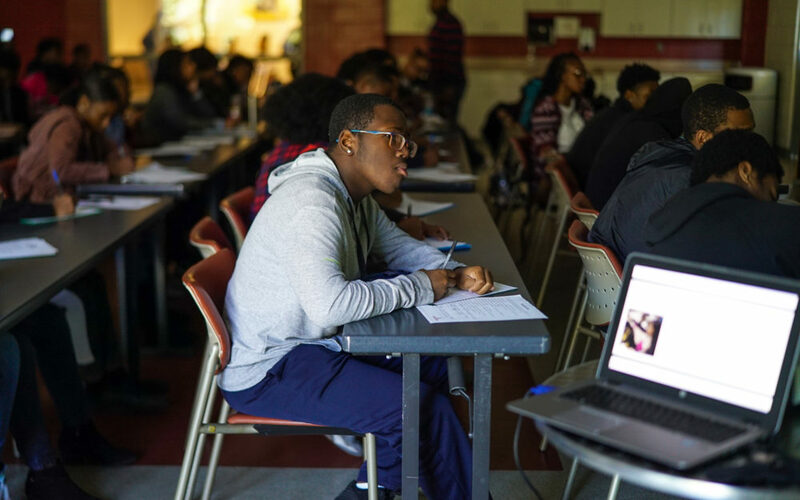 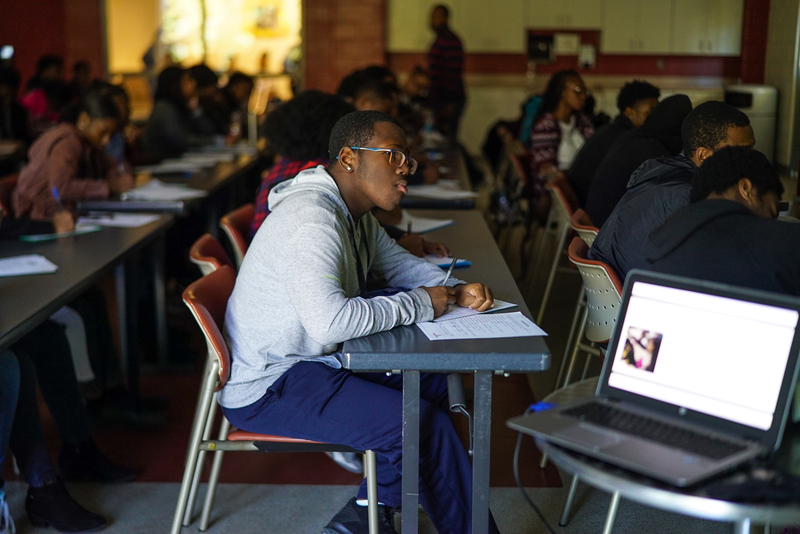 Next Step Education led our follow up program on College Readiness, providing our mentees and their parents with important and valuable information regarding selecting the right college, SAT vs. ACT, financial aid and more. 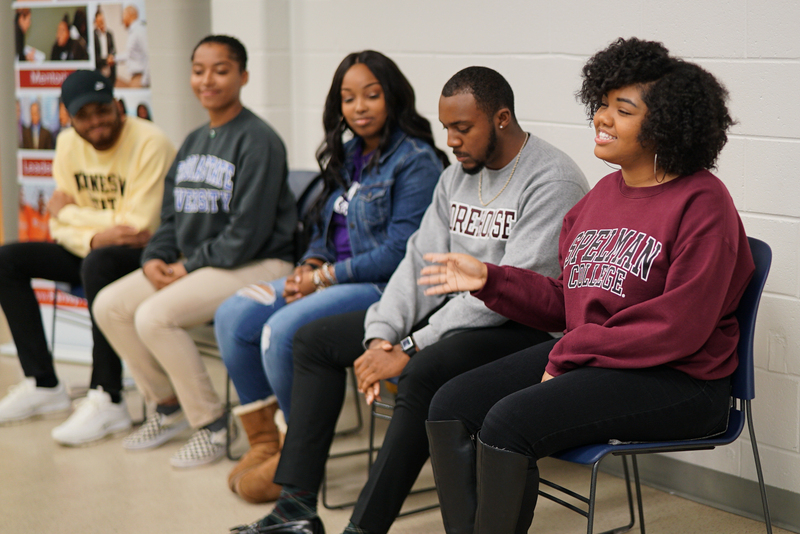 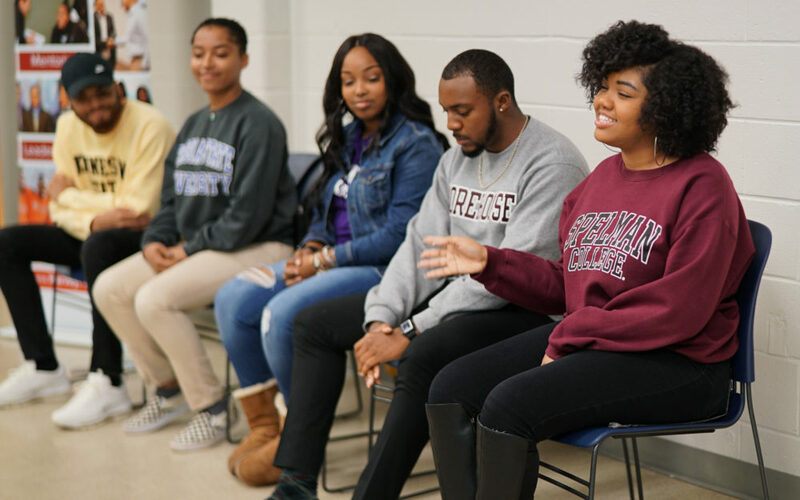 Our mentees got to hear from a panel of college students about the college experience, get all of their questions answered and get great advice from young people who are where they want to be in the future. 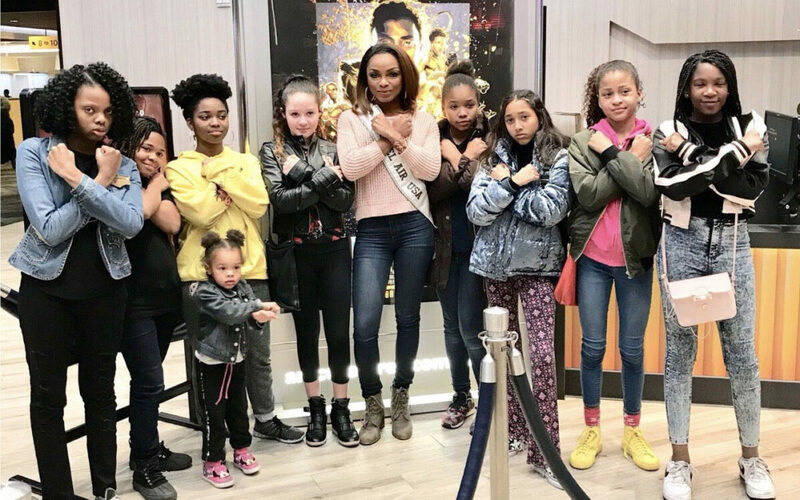 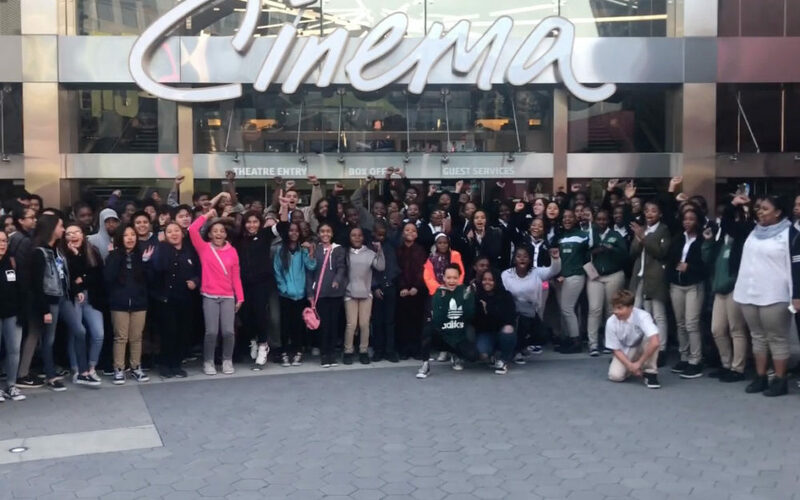 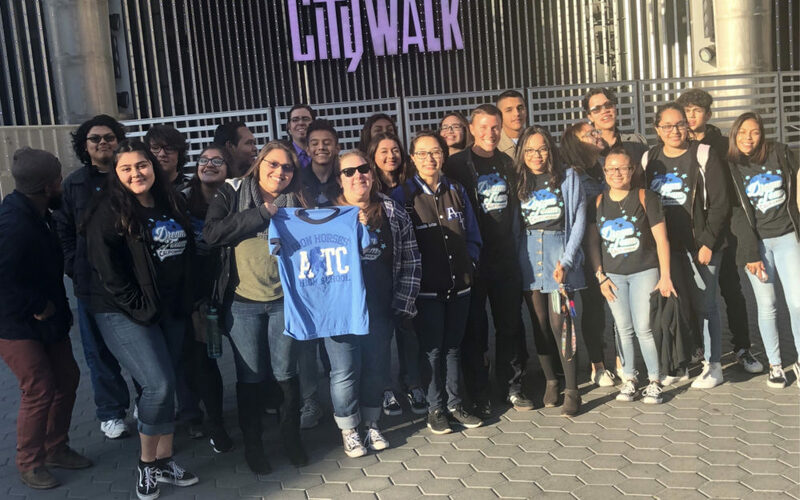 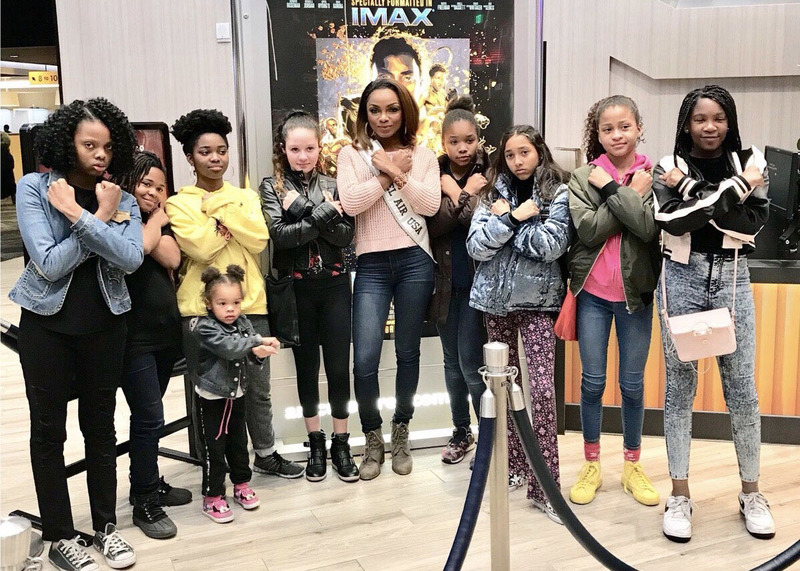 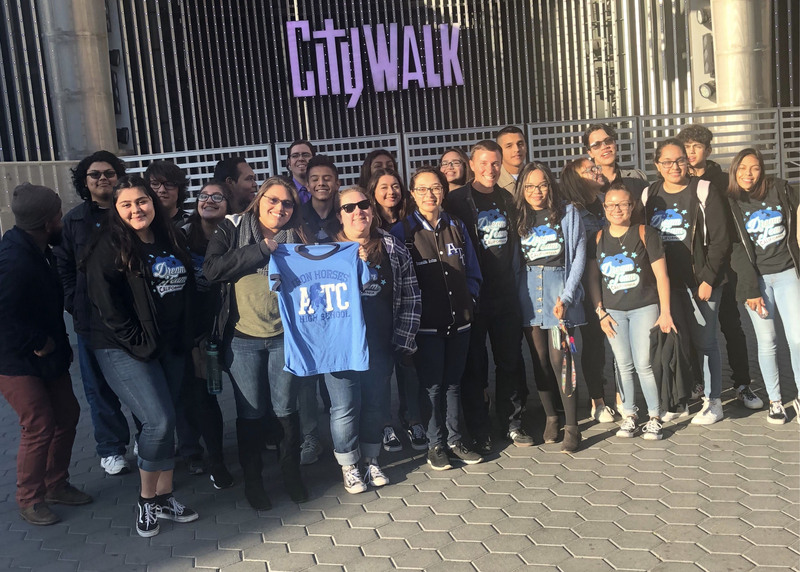 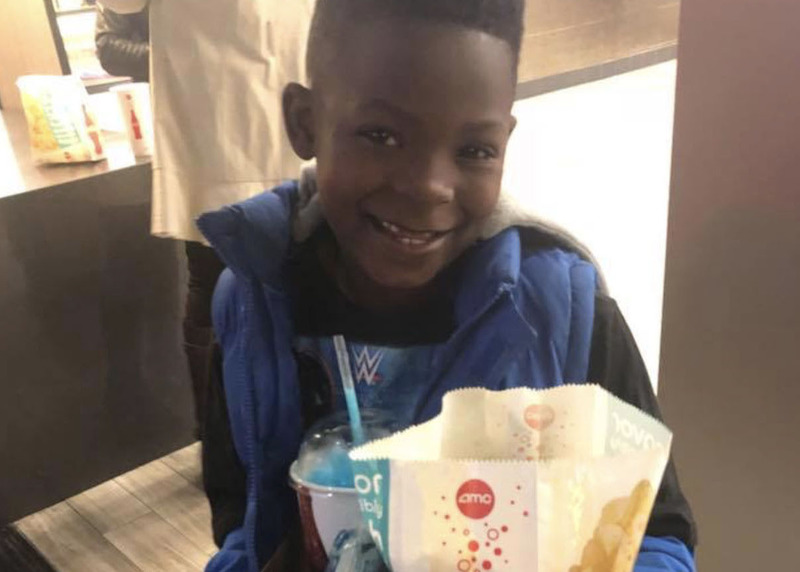 The Harvey Foundation took over 300 children from inner-city Los Angeles to see a screening of the Black Panther movie. 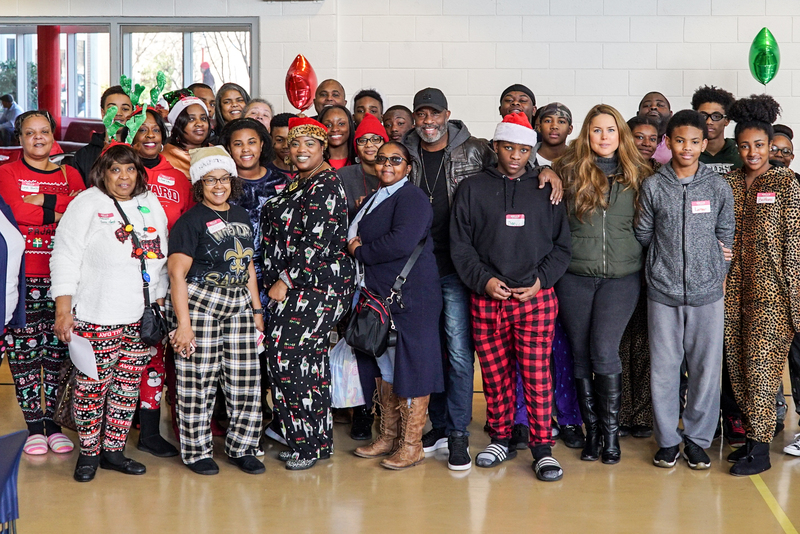 We also blessed 75 special needs children on the day before with the movie experience. 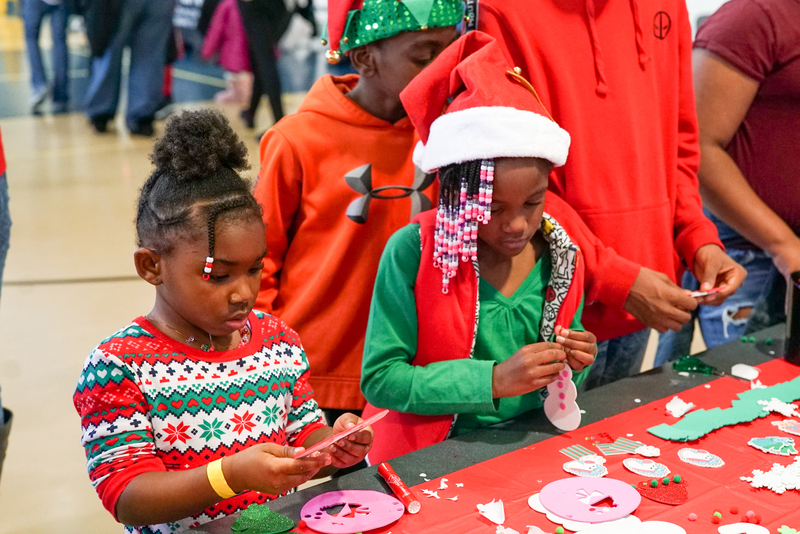 We believe exposure is everything in a young child’s life. 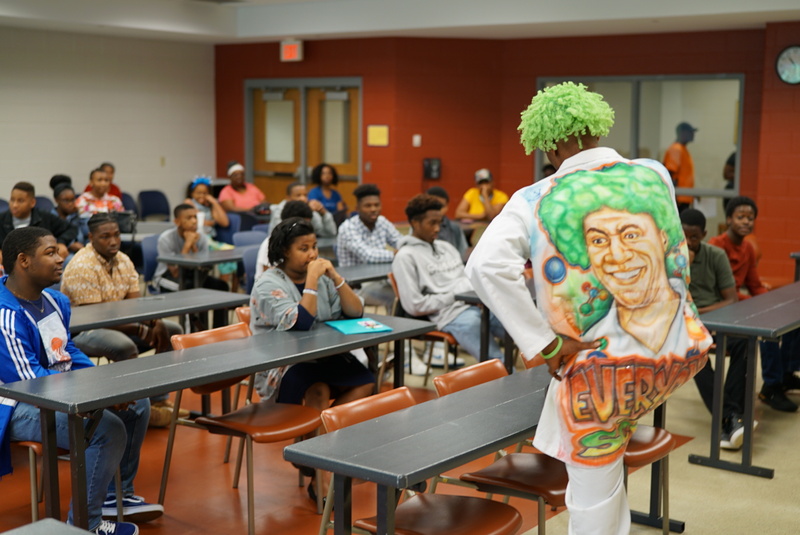 This movie will have an everlasting impact on the youth in attendance. 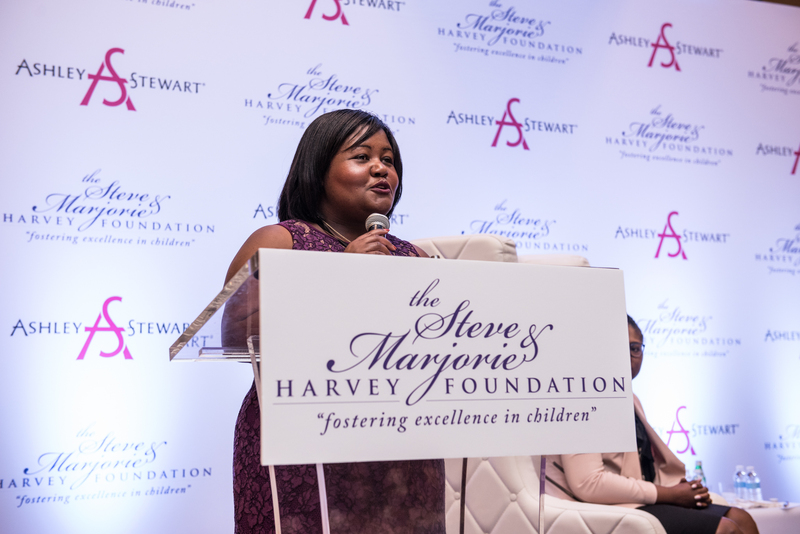 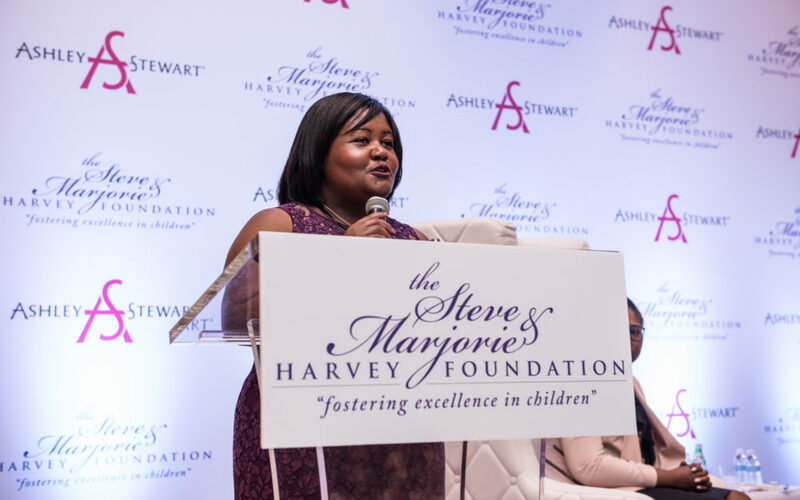 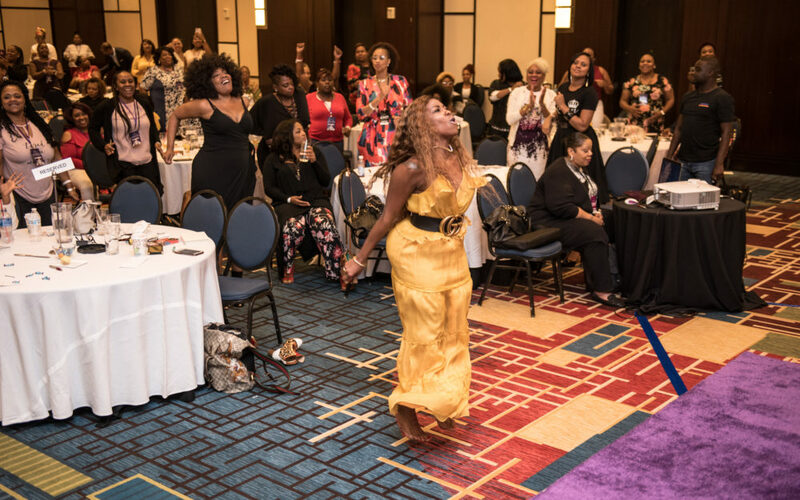 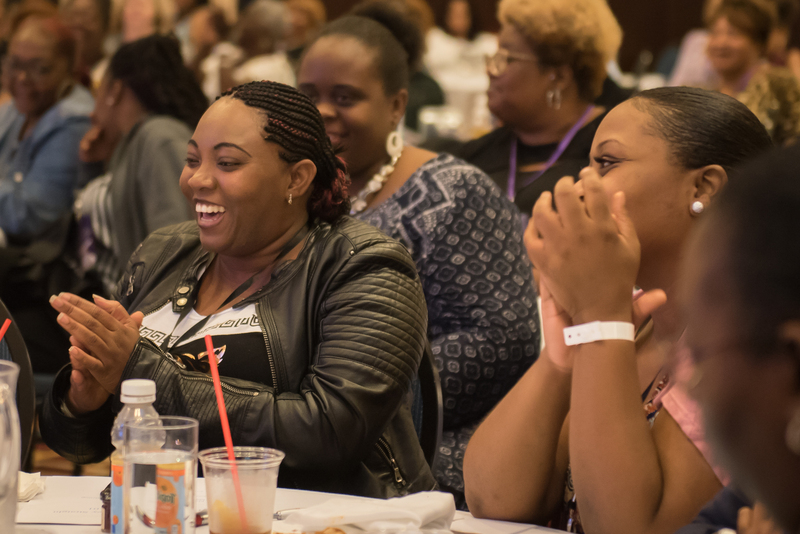 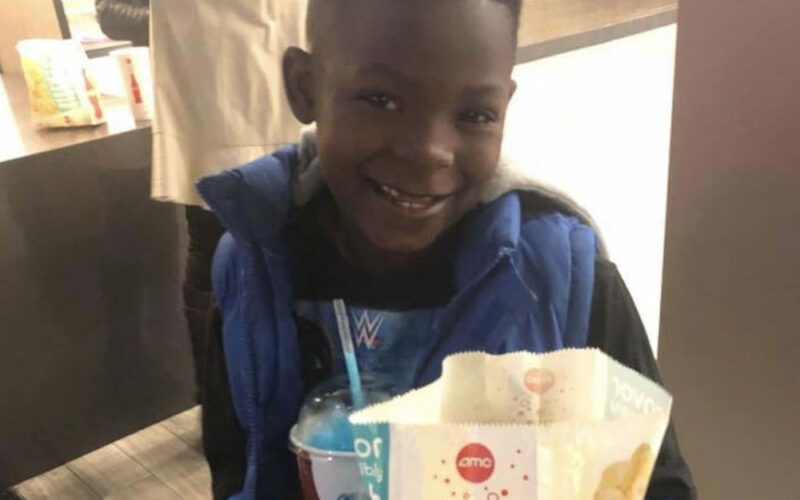 The goal of the Harvey Foundation Single Mother’s Enrichment Summit is to provide single mothers with the key principles of success needed in raising a young man. 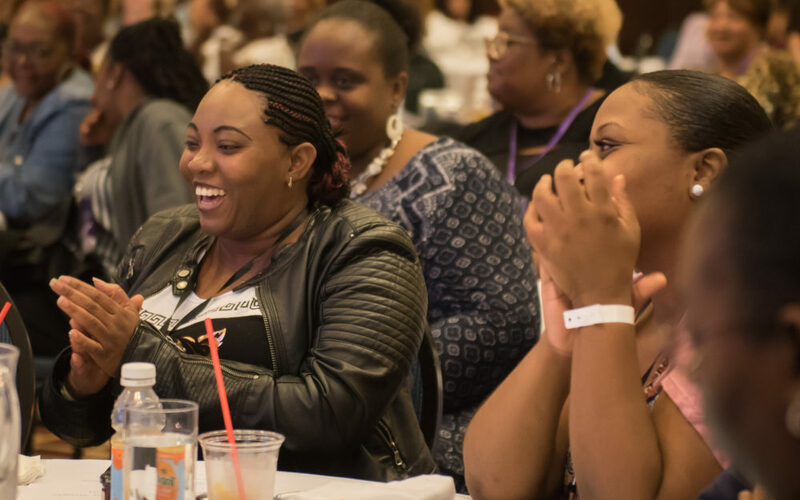 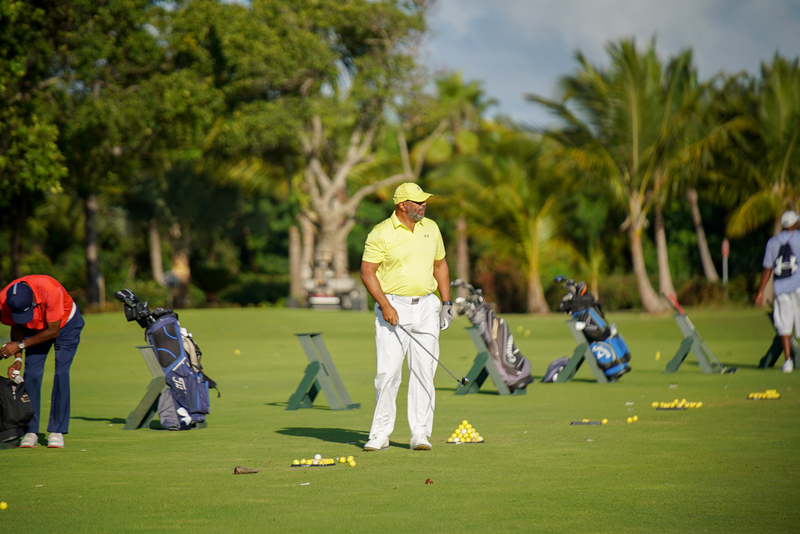 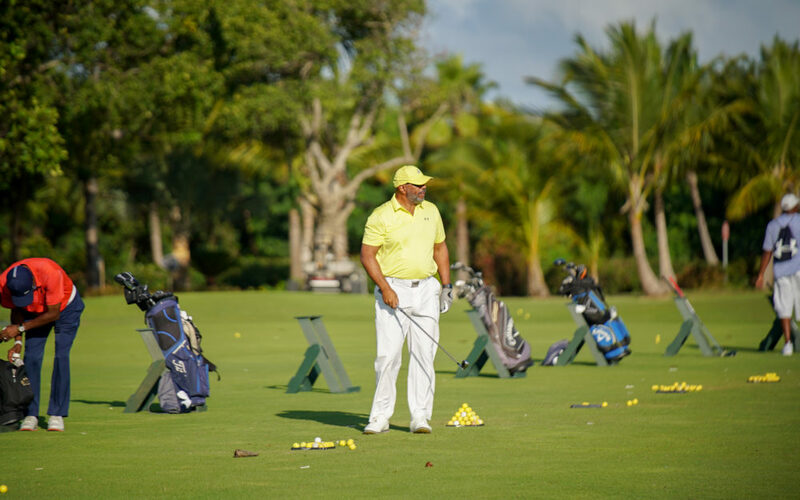 Our program equips the mothers with the tools to become mentally, emotionally, financially and physically strong. 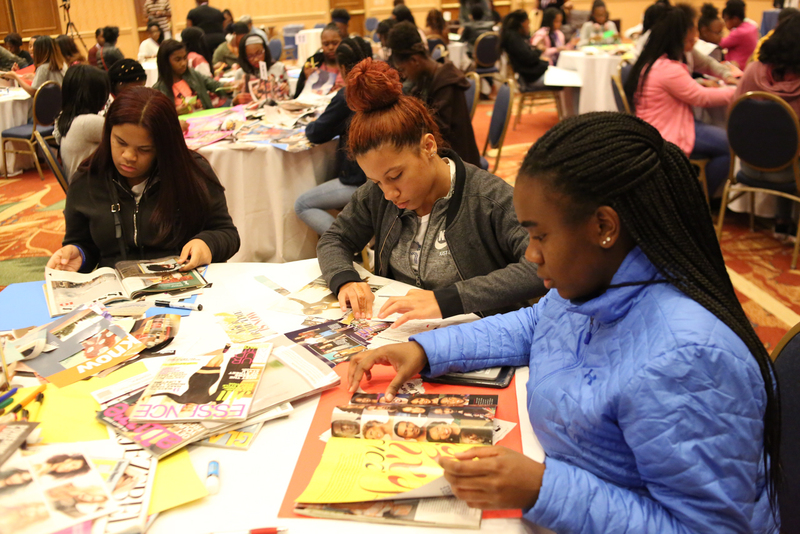 These tools will impact their future relationships and increase self-esteem and self-image thus creating mothers who nurture and develop better sons and husbands, fathers and leaders in our communities. 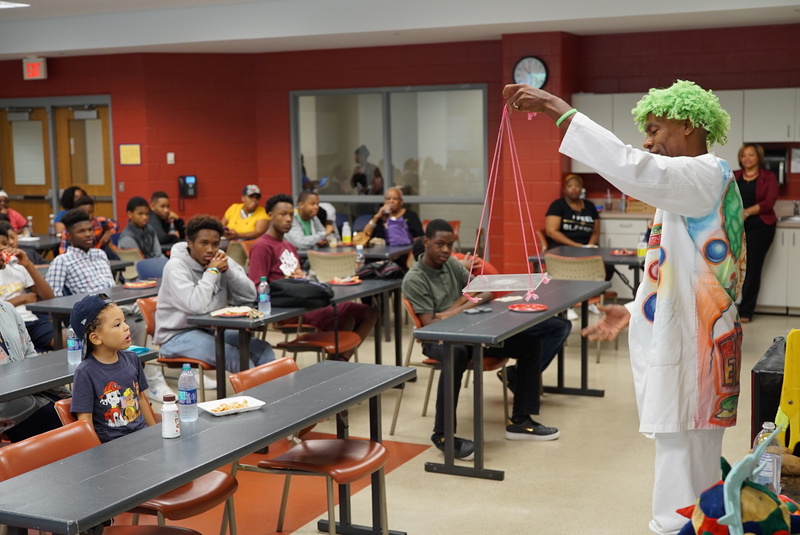 Our mentees experienced Science for Everyone featuring “The Science Machine”, a jaw-dropping, mind-blowing, interactive science show! 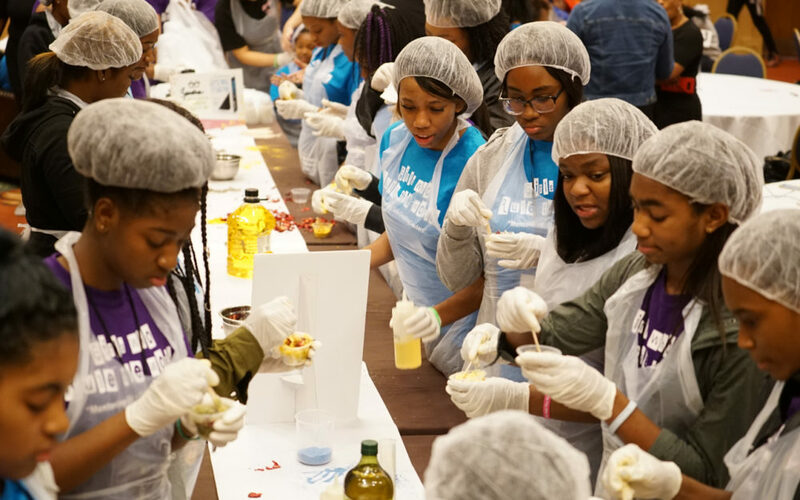 Each show highlighted an incredible array of scientific experimentation. 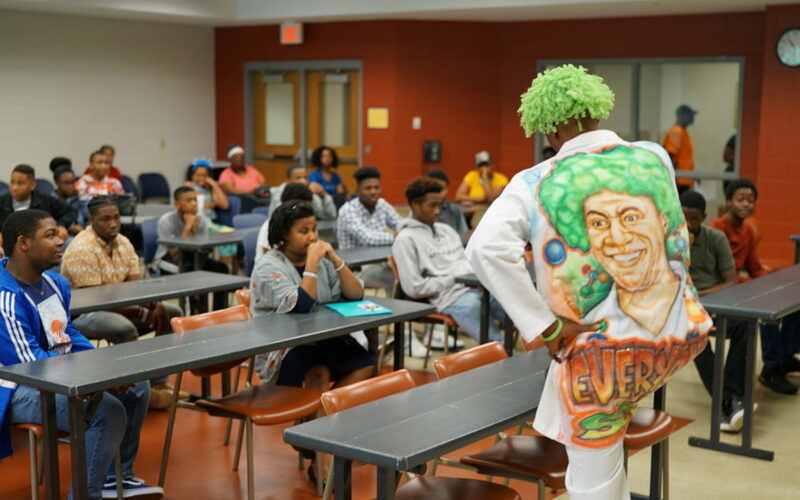 From making a pickle glow in the dark to creating a fire tornado, we were captivated by the zany and hilarious antics that have made Michael Green a.k.a. 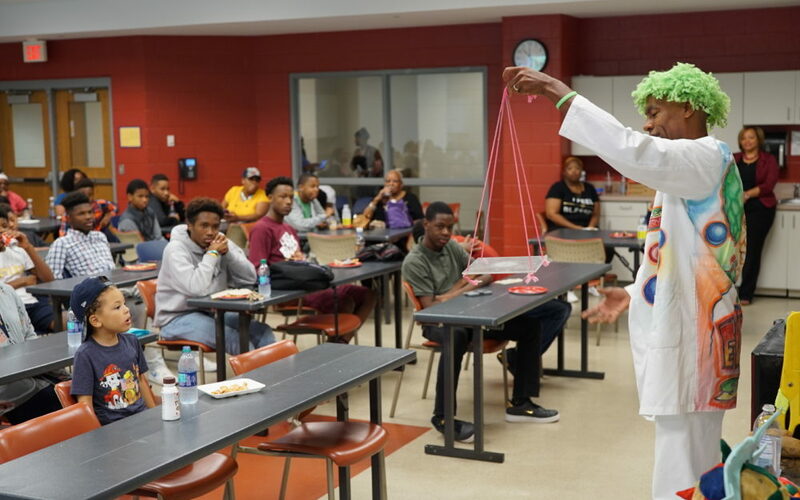 The Science Machine one of America’s most sought after S.T.E M. edutainers! 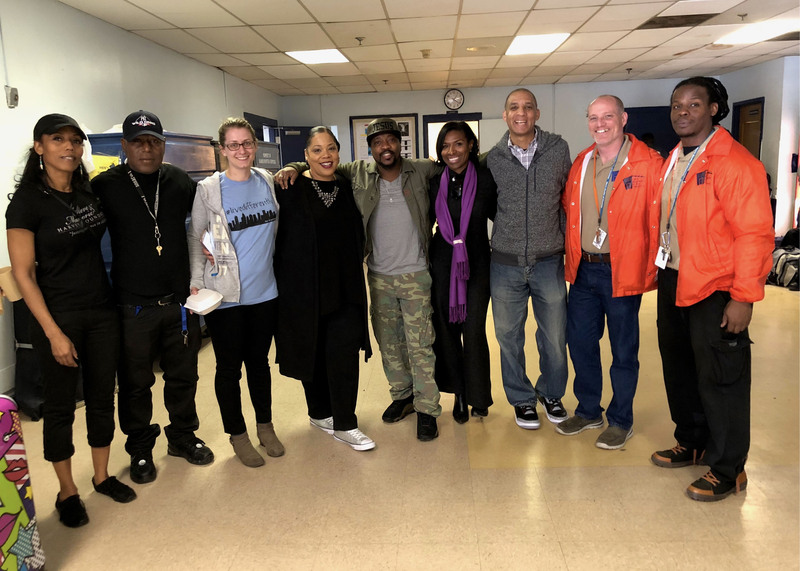 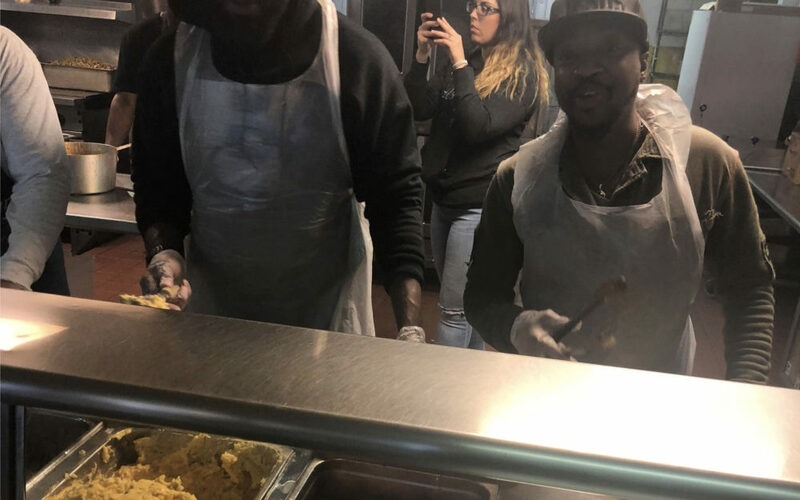 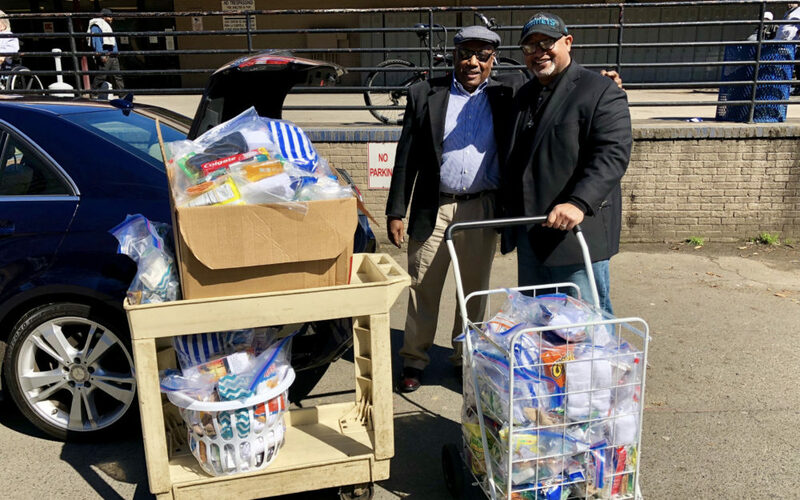 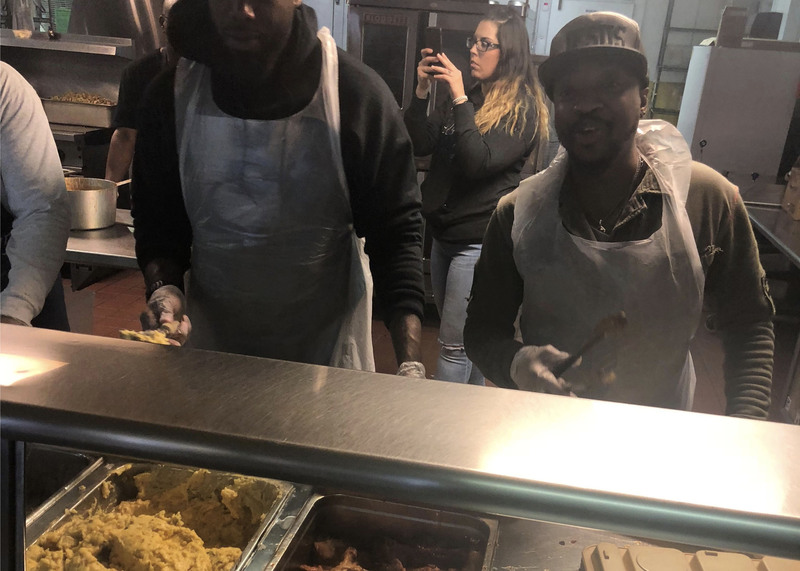 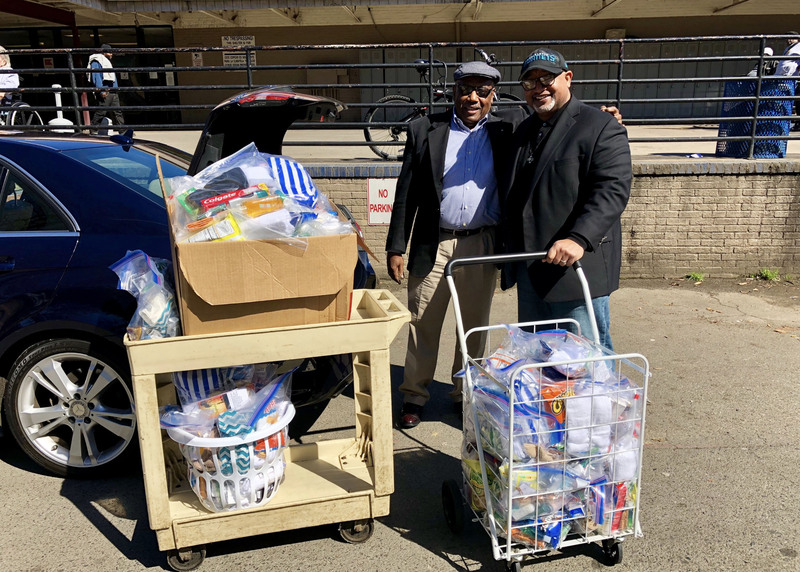 The Harvey Foundation in partnership with Anthony Hamilton fed over 200 men at the Charlotte Shelter for Men over CIAA Weekend. 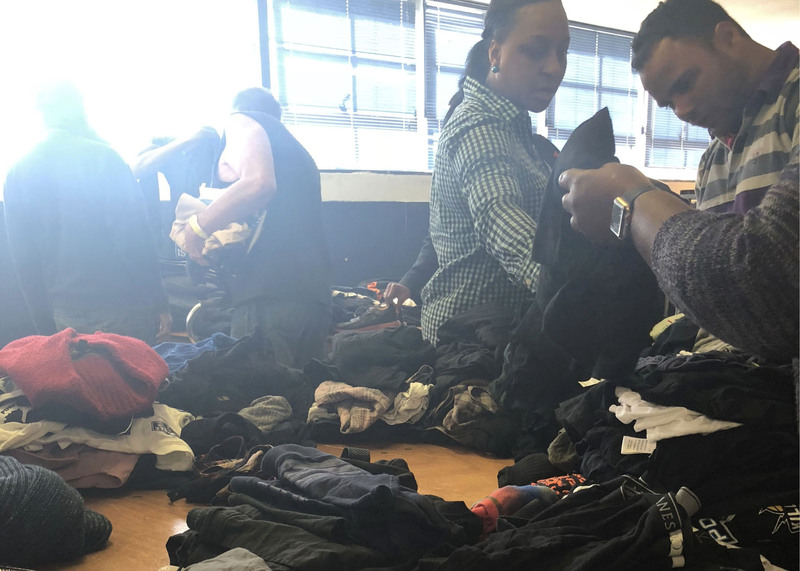 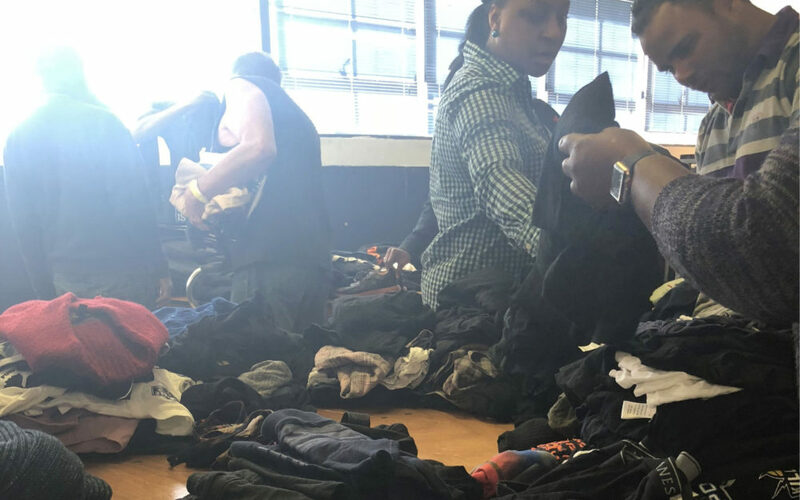 The Foundation supplied underwear, socks and toiletries. 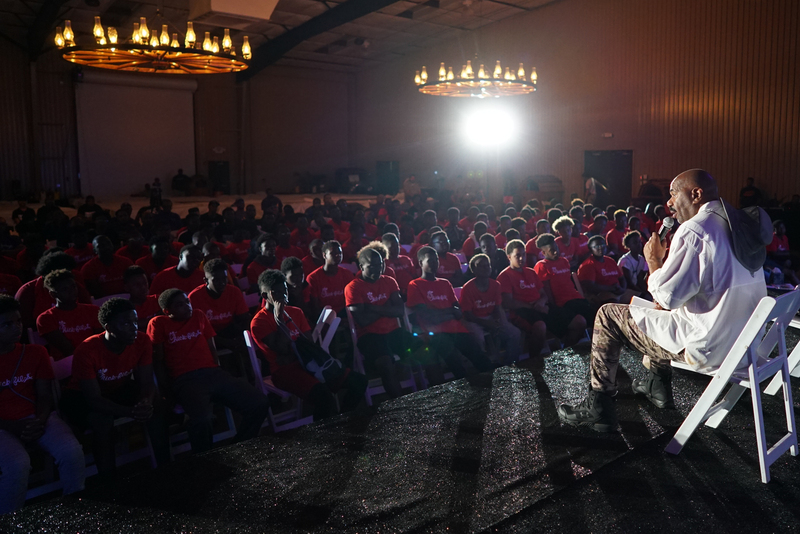 As the Bible says “Where there Is No Vision The People Will Perish”. 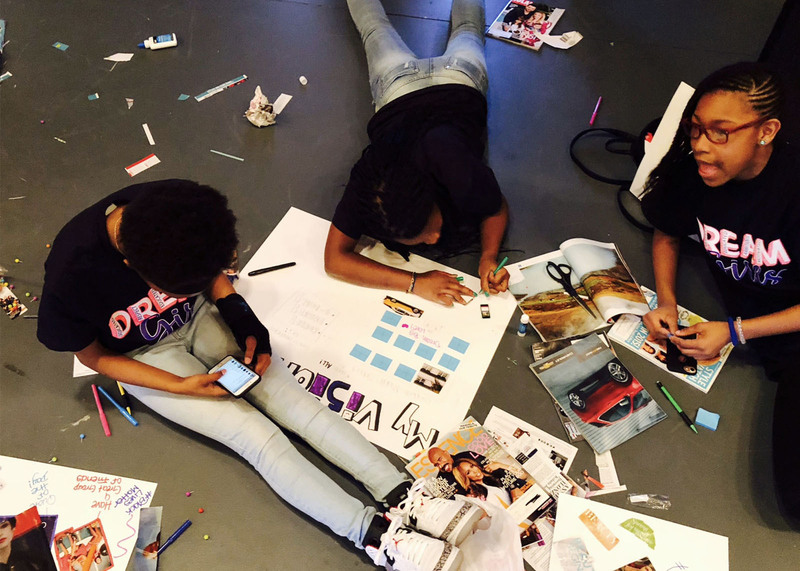 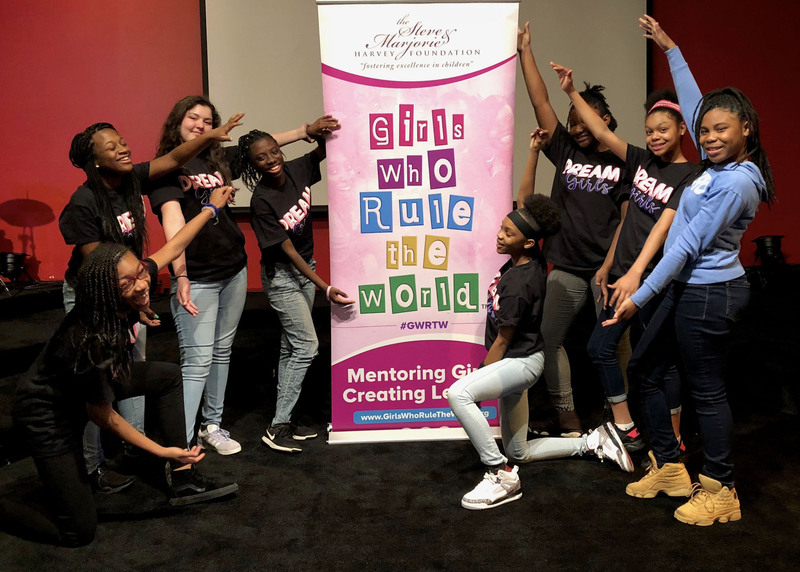 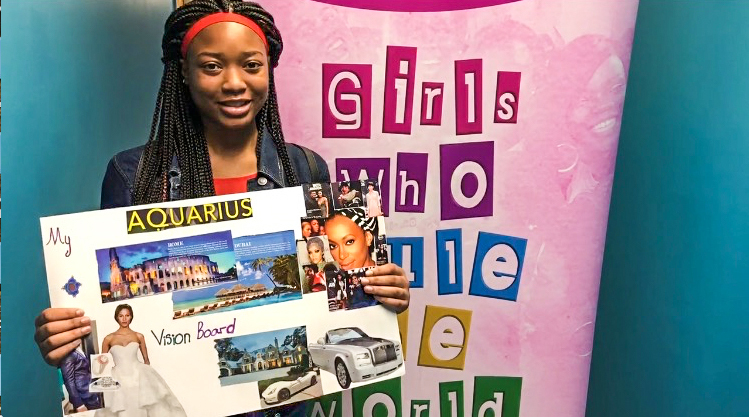 Hannah Cassimere continued the vision for Girls Who Rule The World in Atlanta. 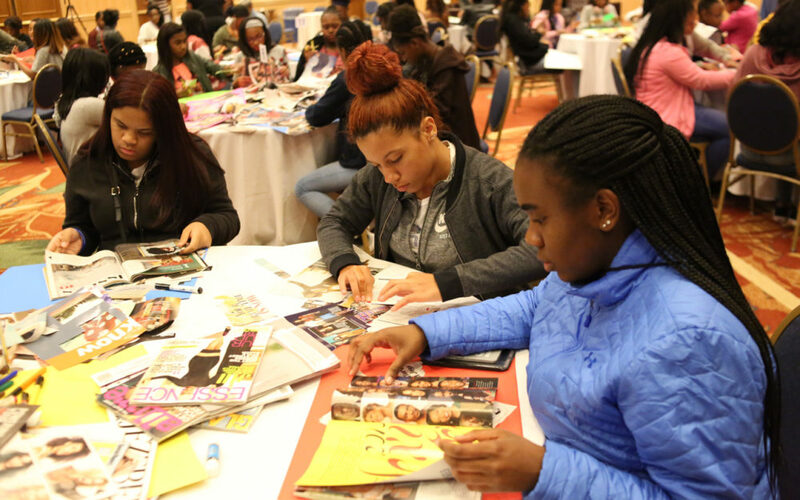 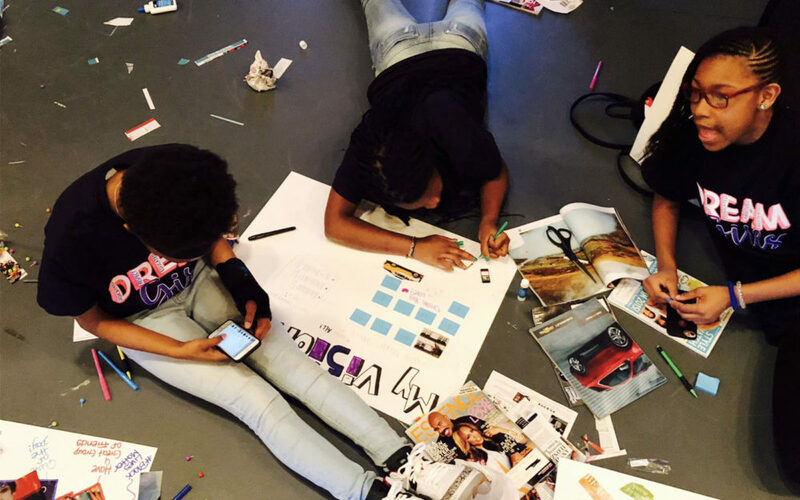 We brought 75 girls together at World Changers Church International to envision their future. 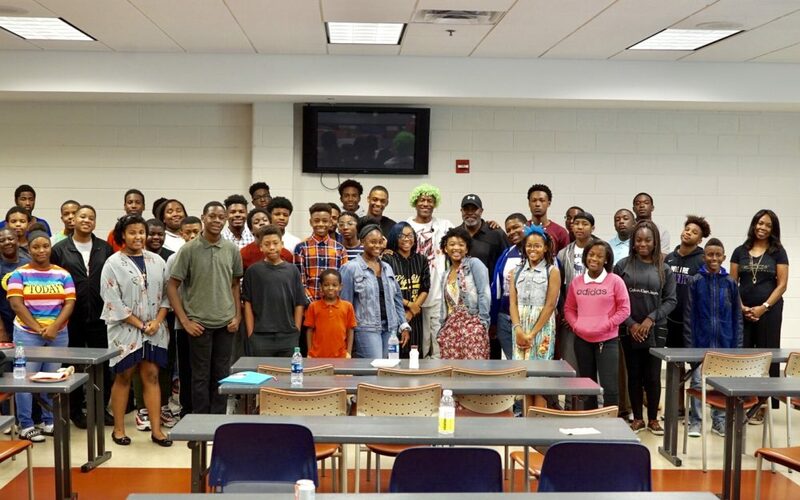 The event was hosted by Maria Wills from Girl Talk Radio and was a great success! 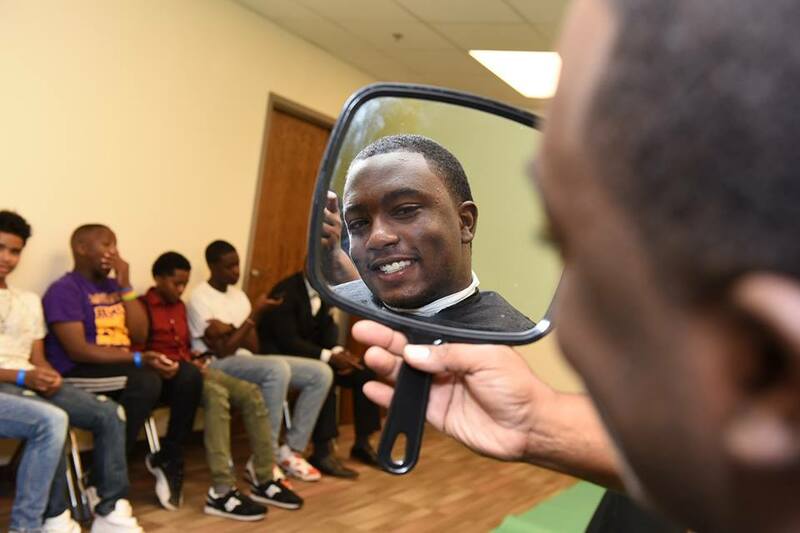 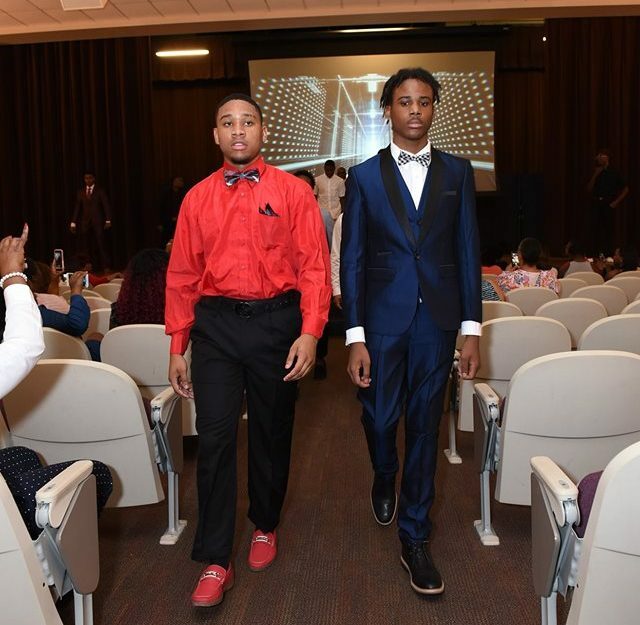 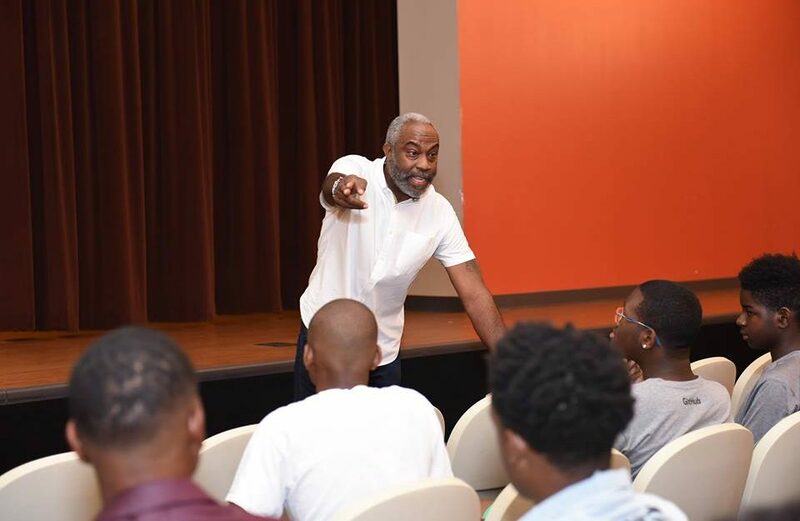 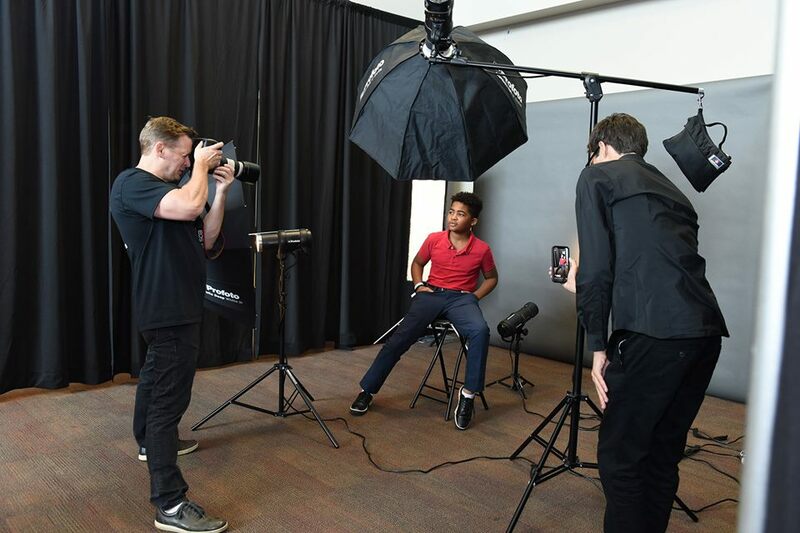 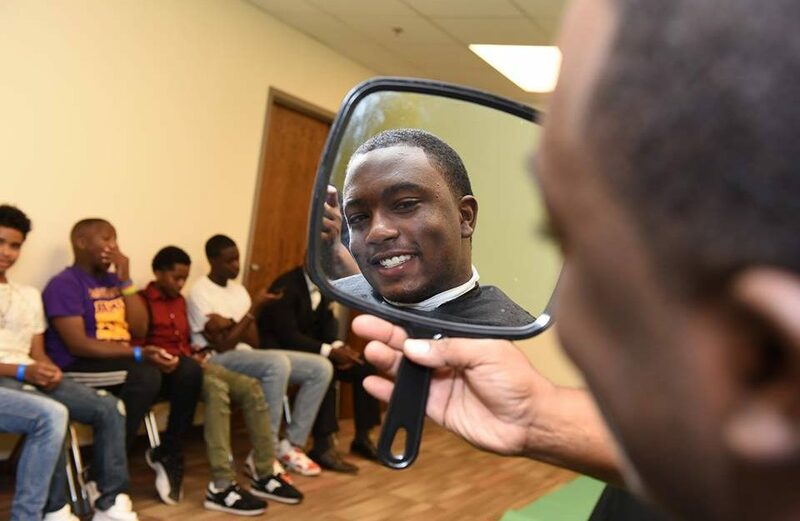 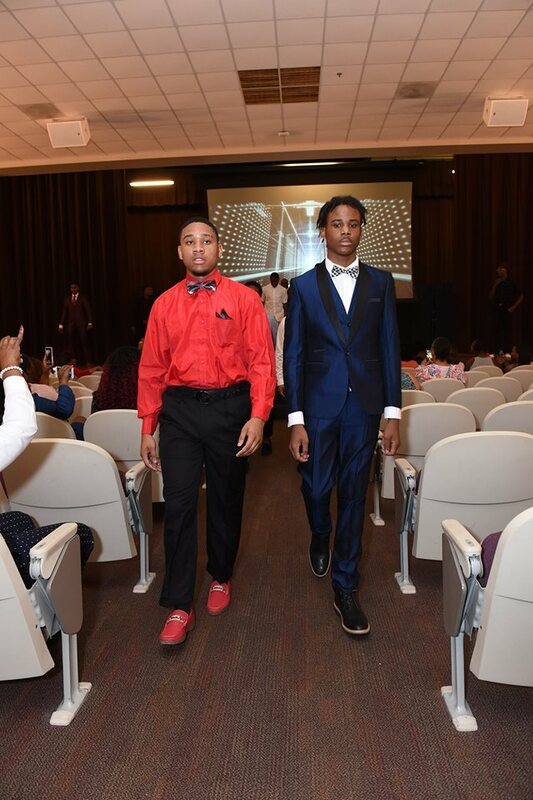 We had an extraordinary day with John Casablancas, a powerful day where our young men learned the importance of presenting their best self with their grooming and hygiene. 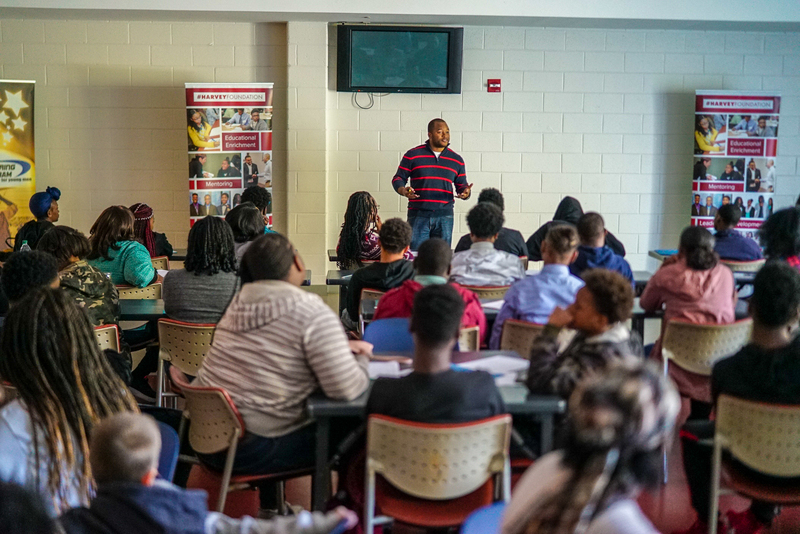 We also discussed how to communicate the perfect elevator pitch, interview techniques, the impact of a real hand shake, eye contact and how to walk with confidence. 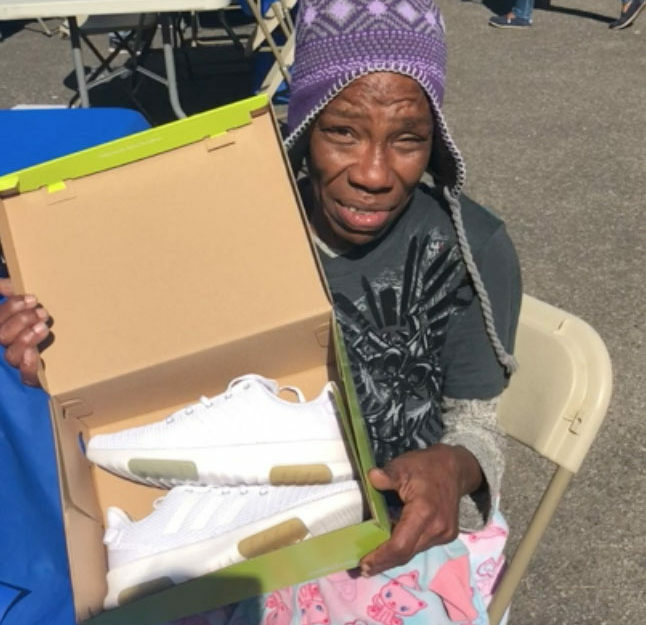 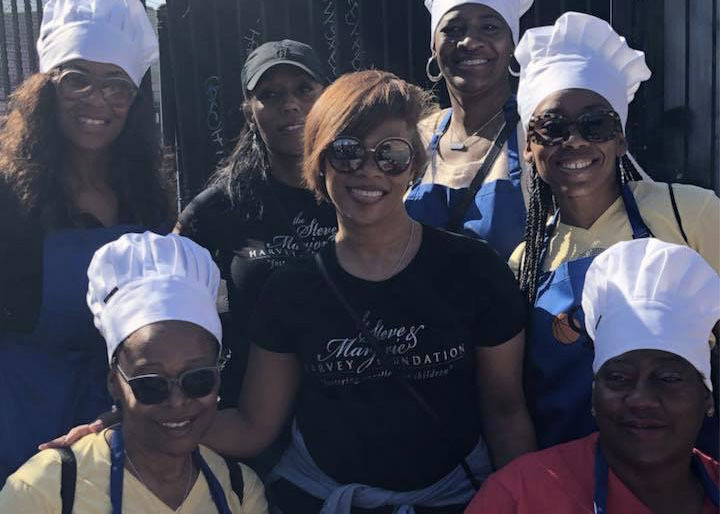 During NBA All Star Weekend in Los Angeles, we partnered with the Moms of the NBA to feed the homeless on Skid Row. 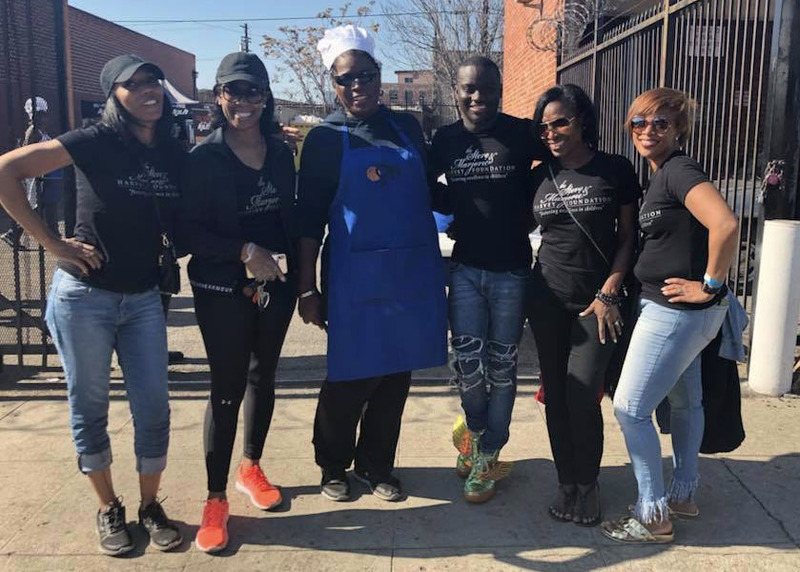 We fed approximately 800 people. This is the beginning of a great partnership. 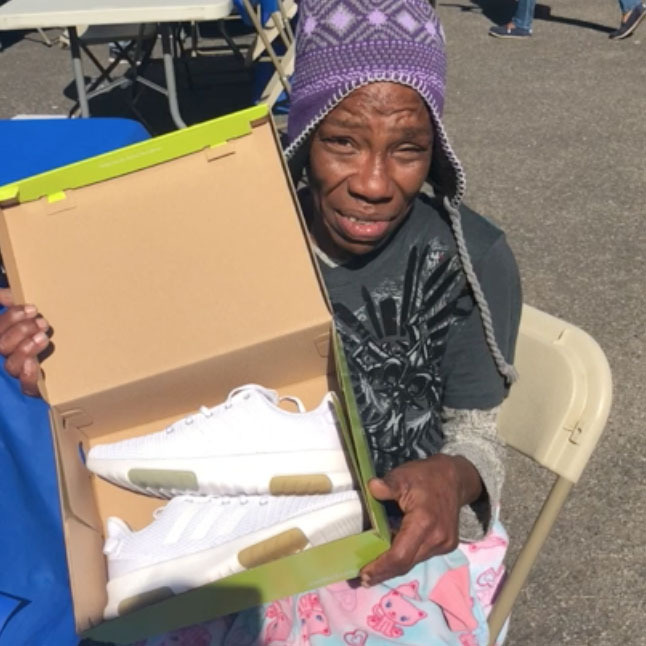 While feeding the homeless we were surprised to see that a number of the people who had come to eat were without shoes. 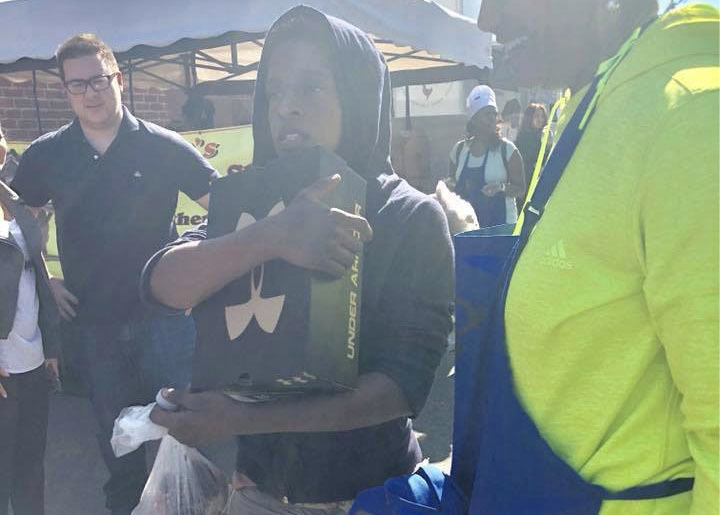 At that time we jumped into full gear and put shoes on every person that was without a pair! 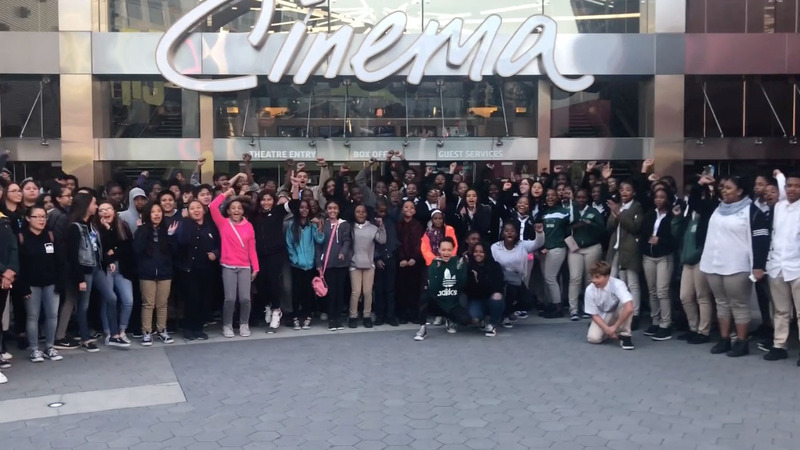 This was truly an eye opening experience for us. 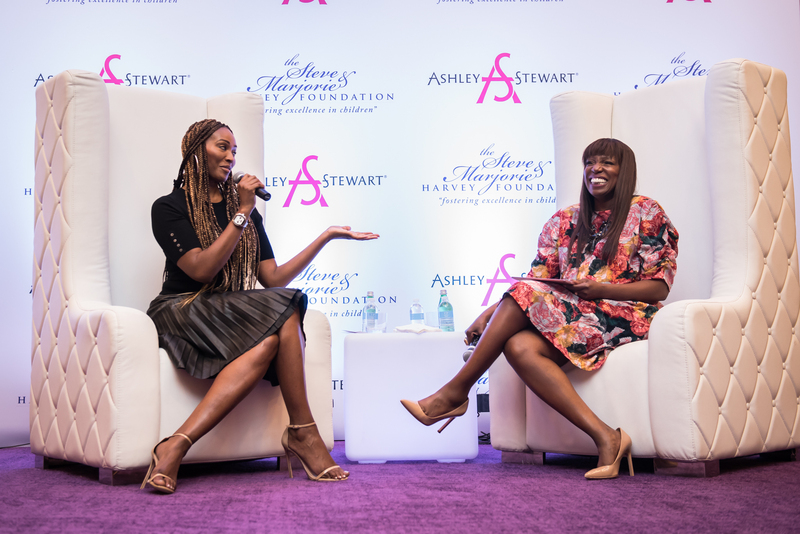 We look forward to continuing this partnership with NBA Moms! 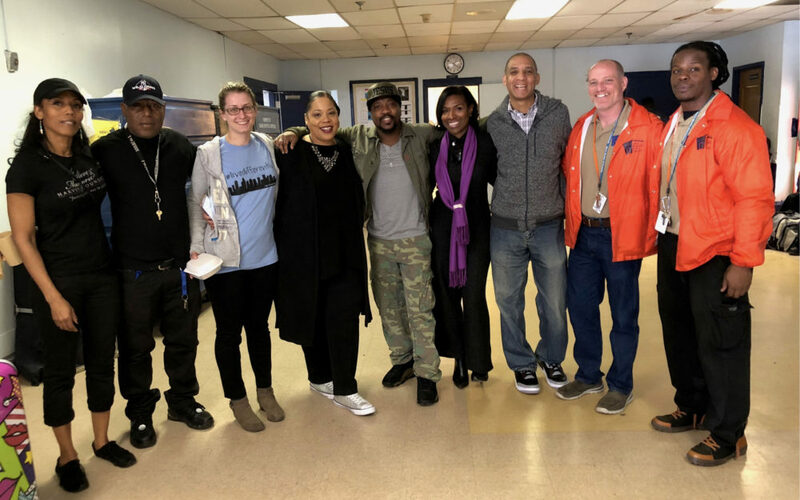 We look forward to continuing to do the work!